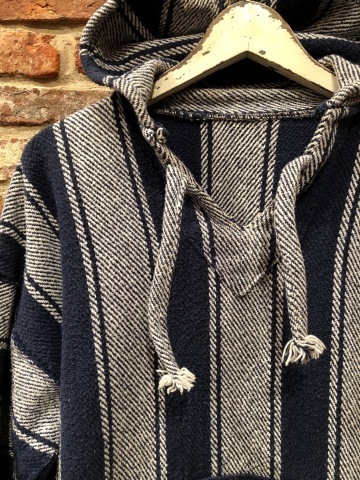 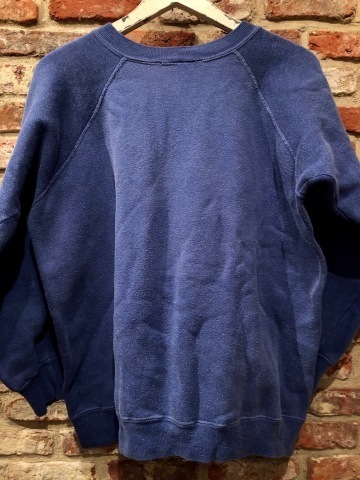 1940-50s " H.L.WHITING CO. " 100% WOOL VINTAGE A-1 TYPE SWEATER . 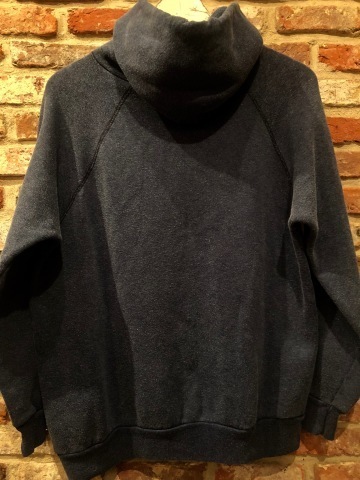 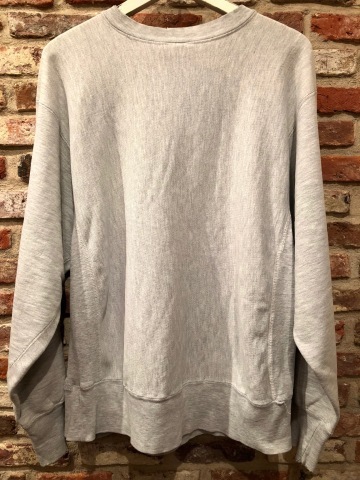 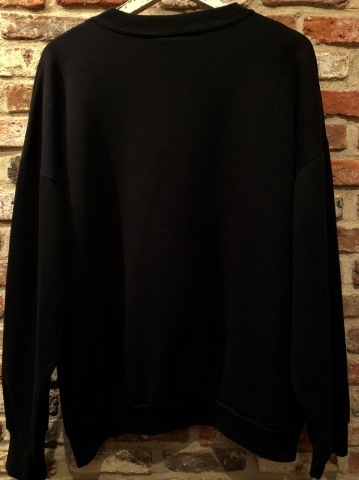 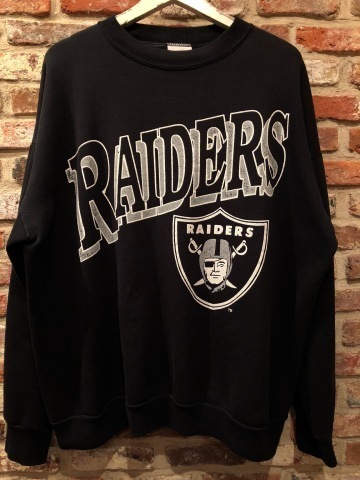 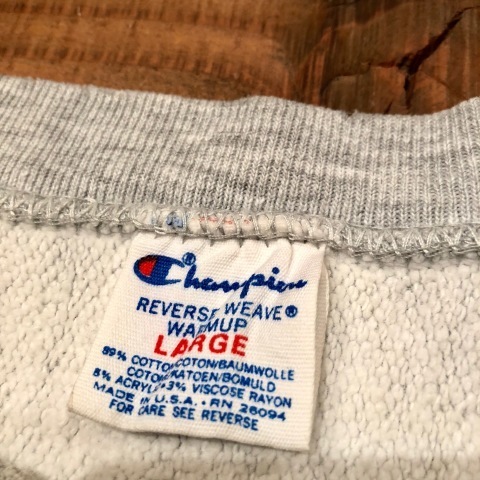 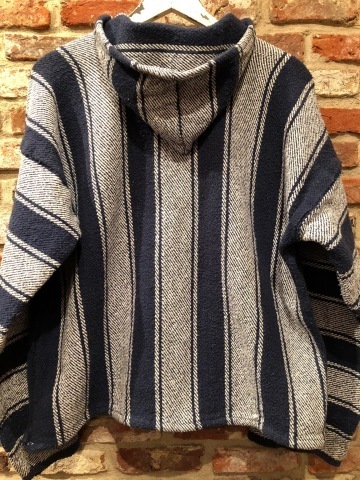 1970-80s " SMITH'S by Alan Paine " 100% CASHMERE VINTAGE SWEATER . 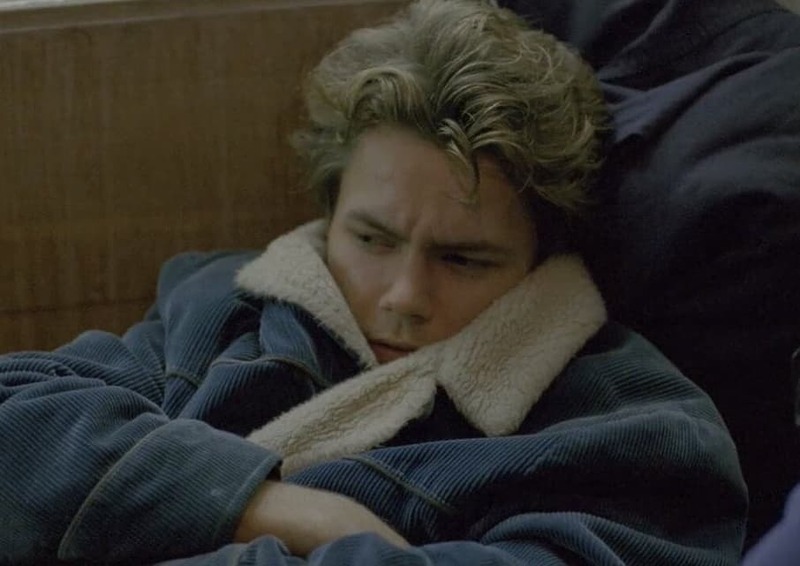 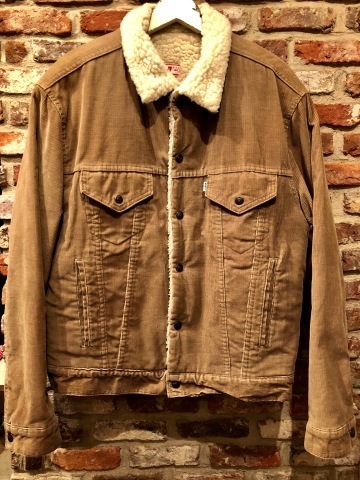 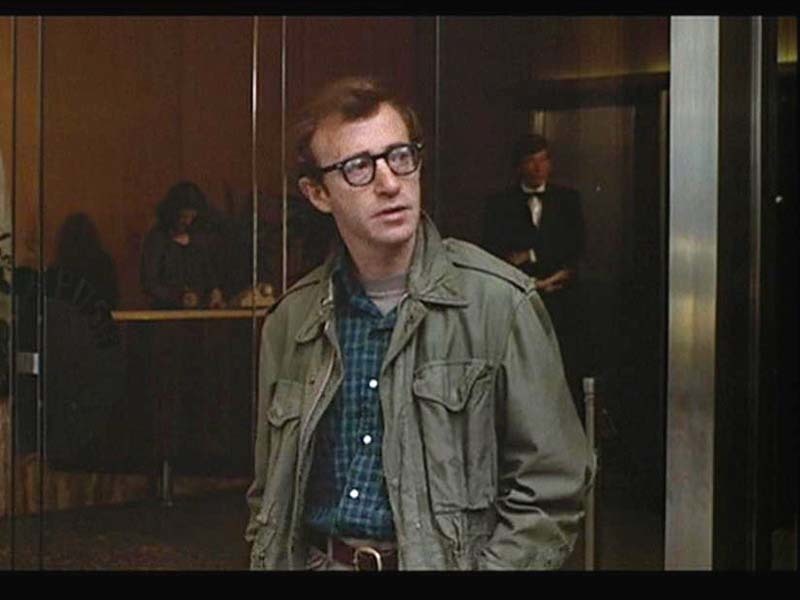 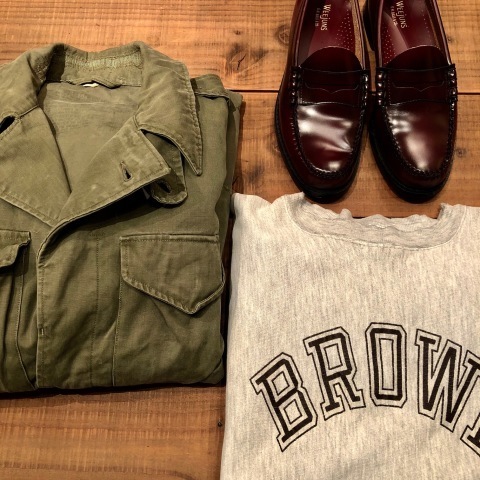 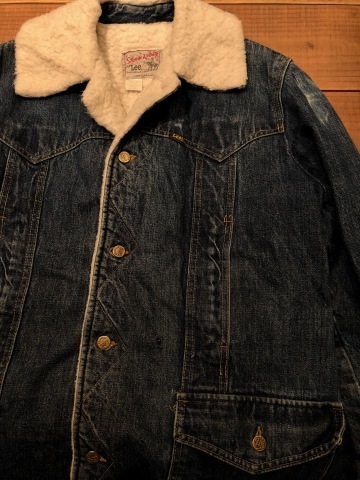 1991 " GOLDEN BEAR - made in CALIFORNIA - " - MELTON × LEATHER - Vintage AWARD JACKET . 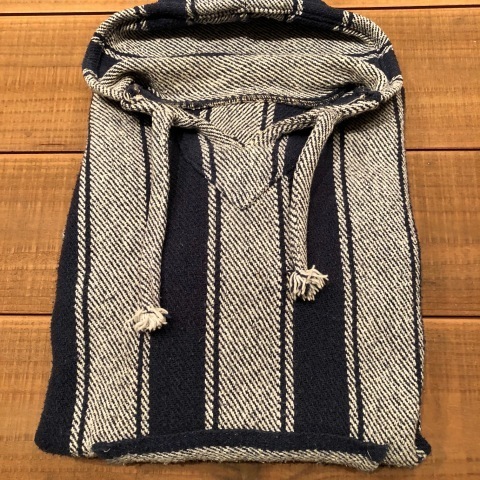 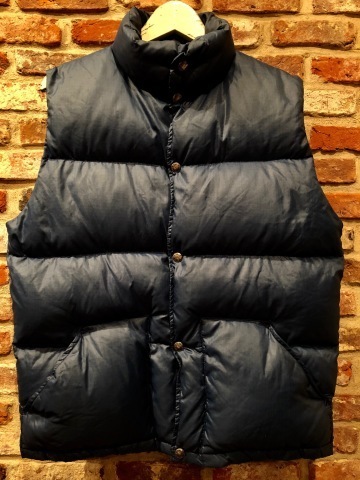 MID 1950s - Early 1960s " BAUER DOWN " VINTAGE - DOWN VEST - . 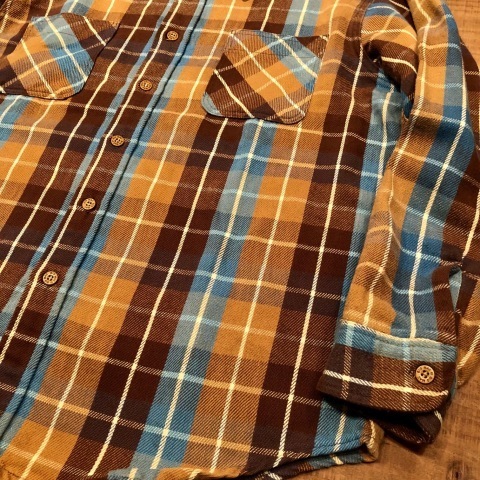 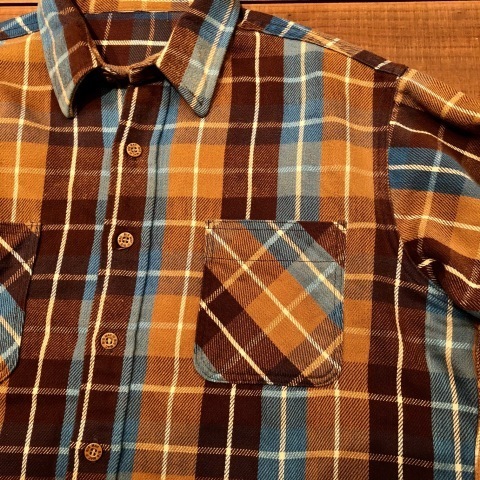 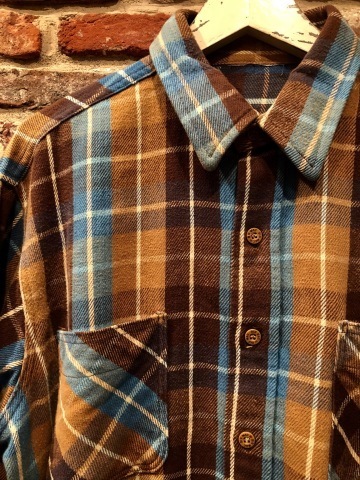 Late 1960s " PENDLETON WOOLEN MILLS " 100% worsted WOOL VINTAGE CHECK SHIRTS . 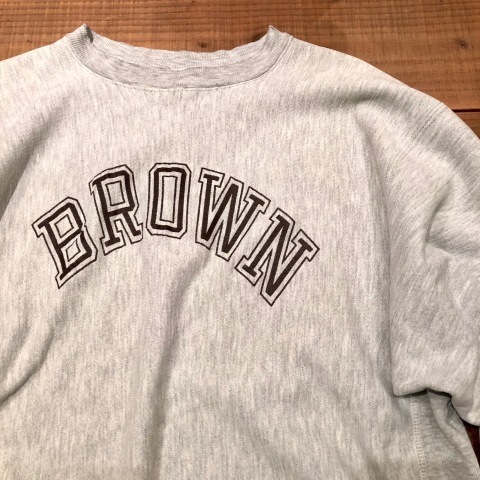 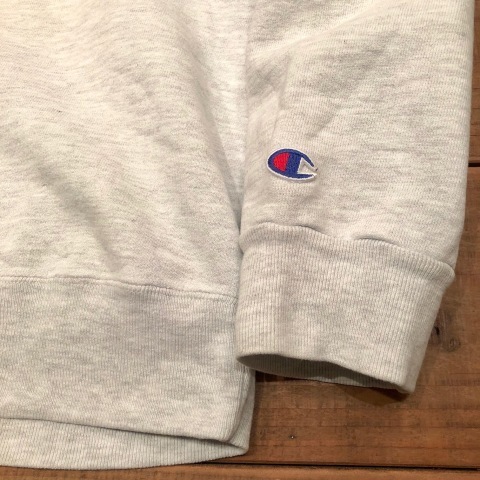 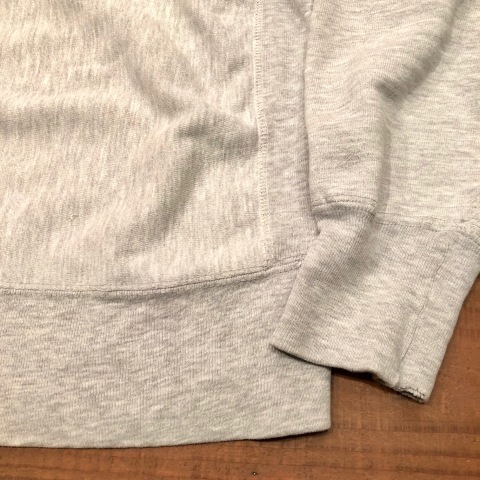 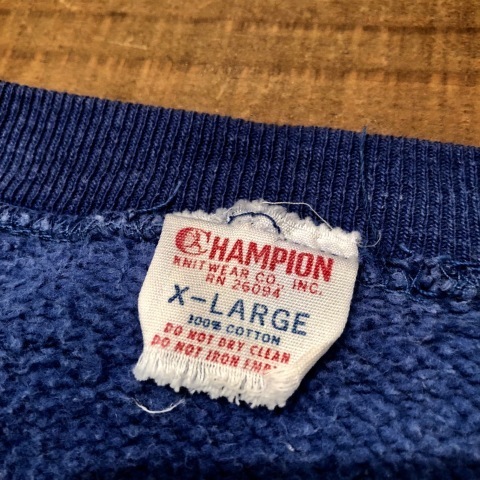 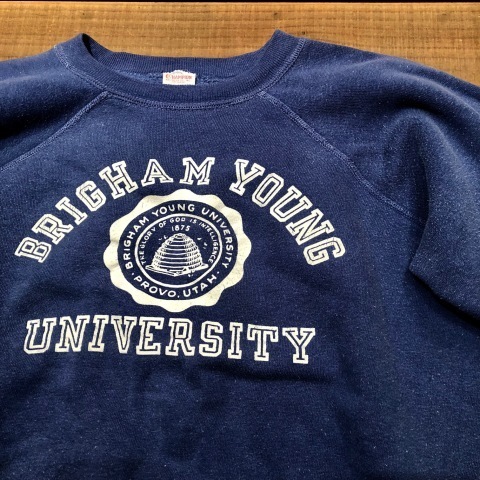 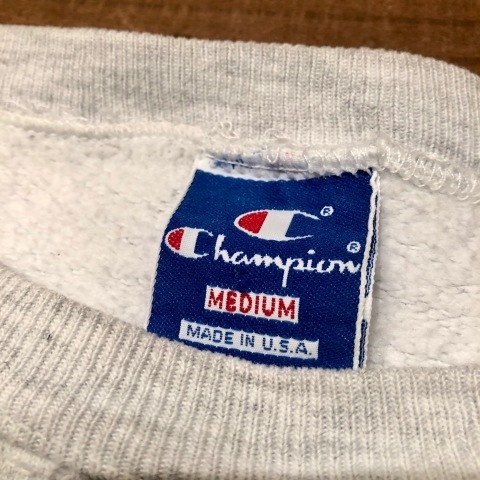 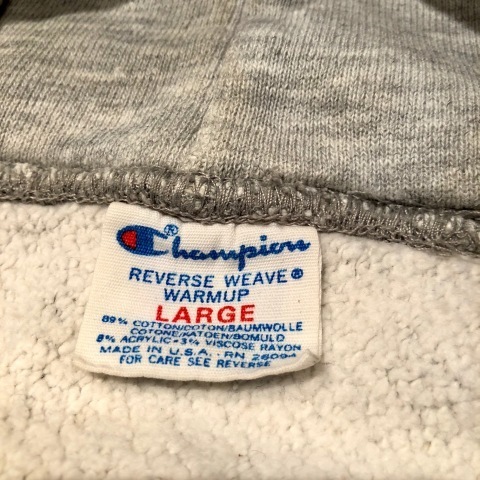 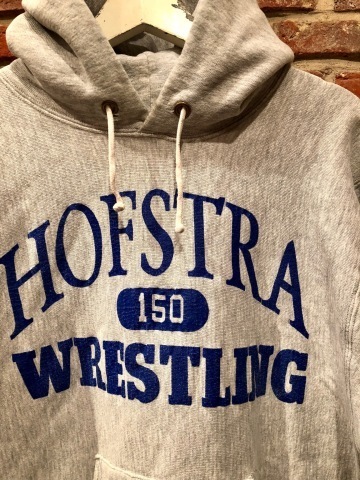 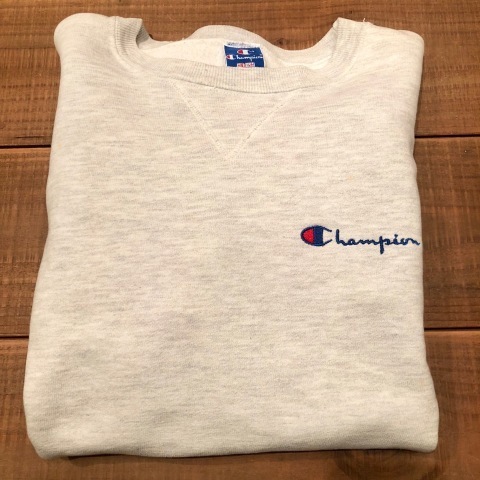 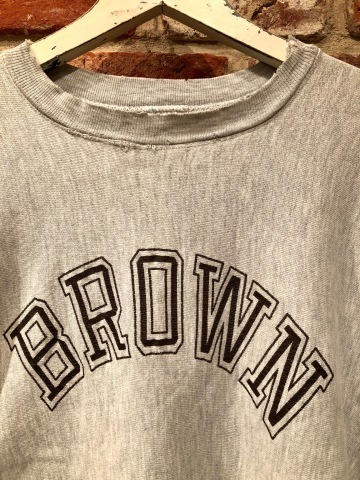 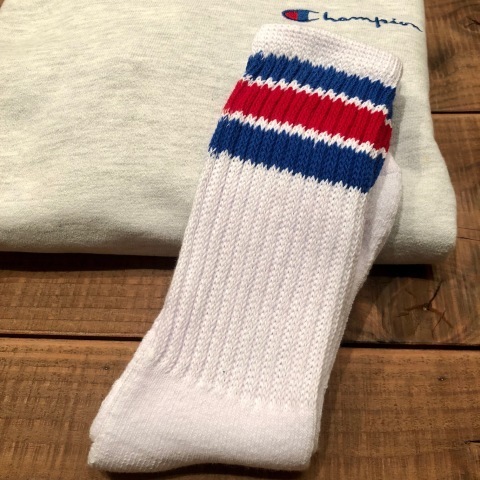 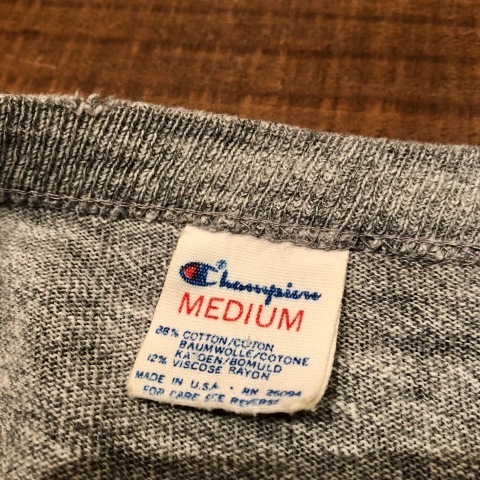 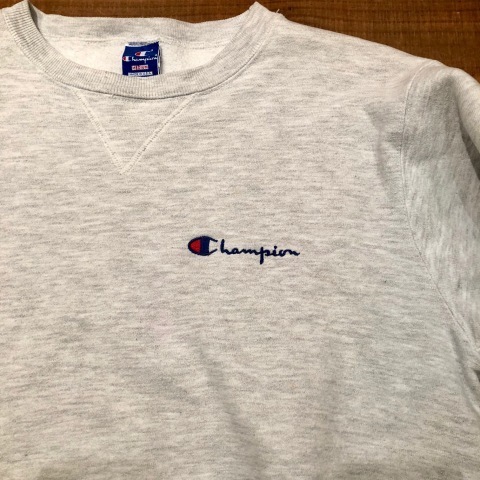 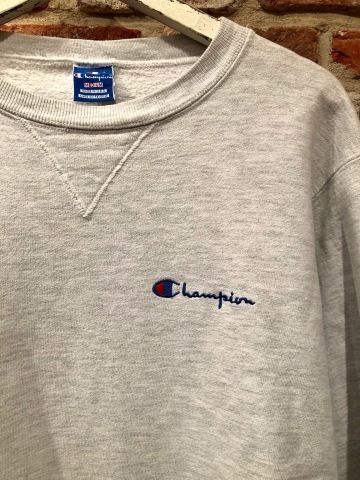 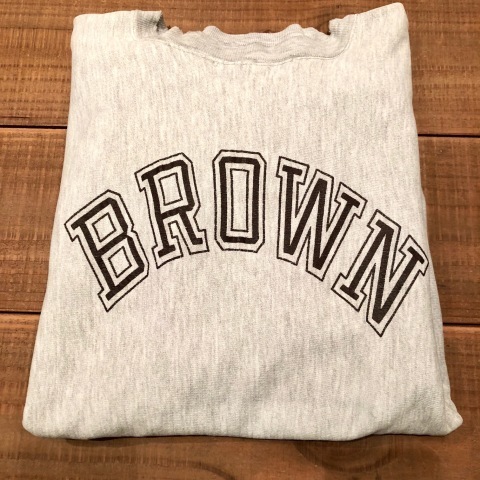 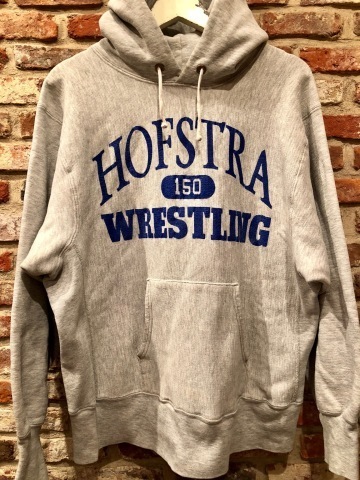 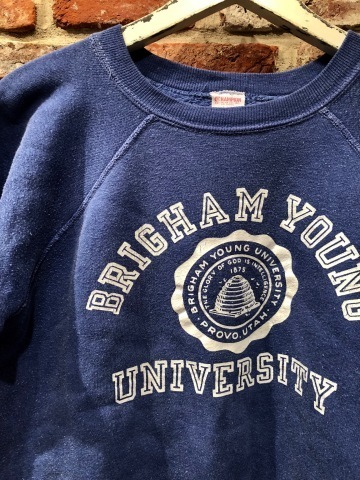 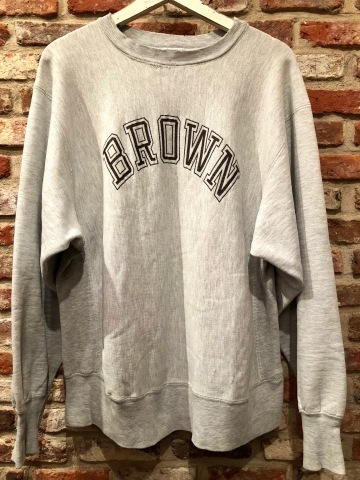 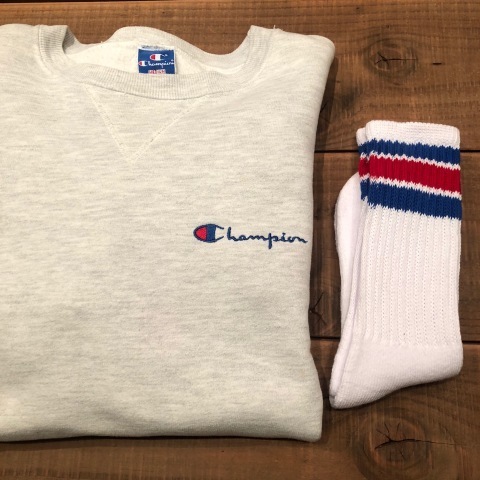 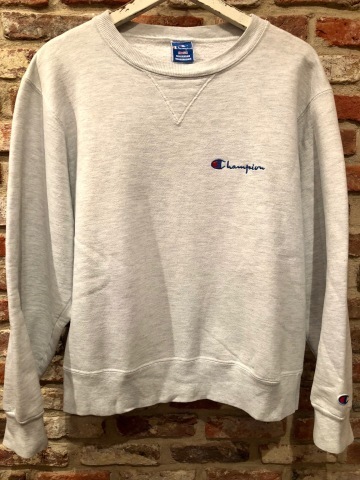 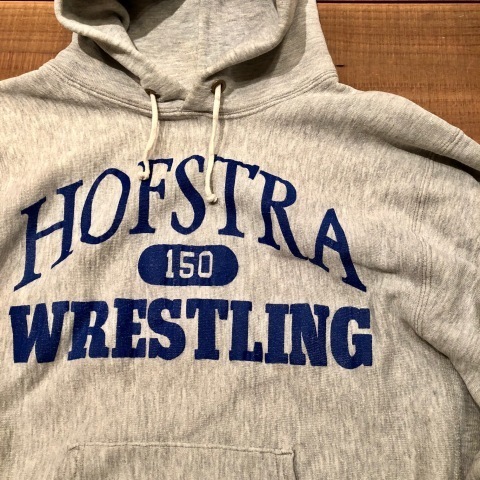 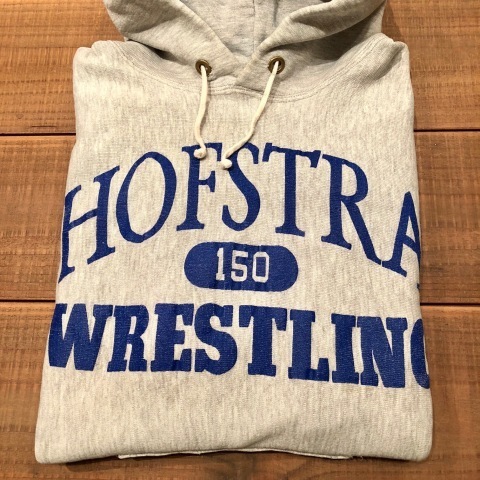 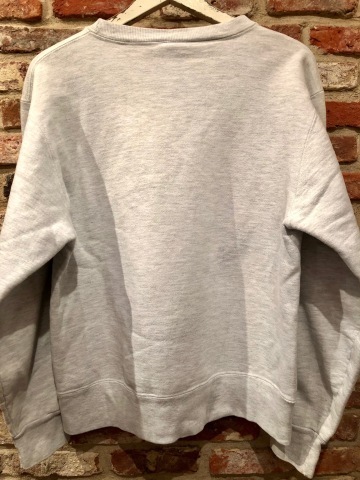 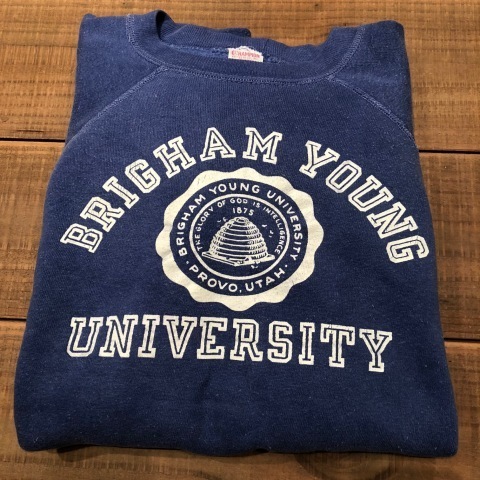 1980s " CHAMPION " - REVERSE WEAVE - VARSITY C/N SWEAT SHIRTS . 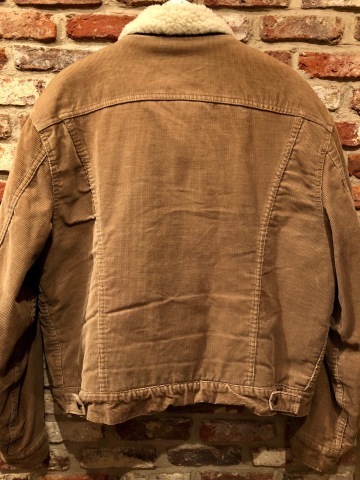 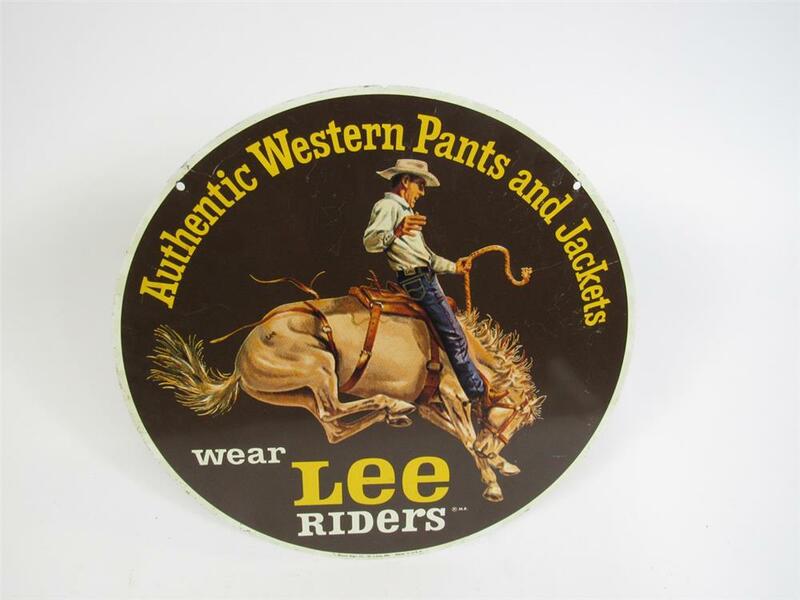 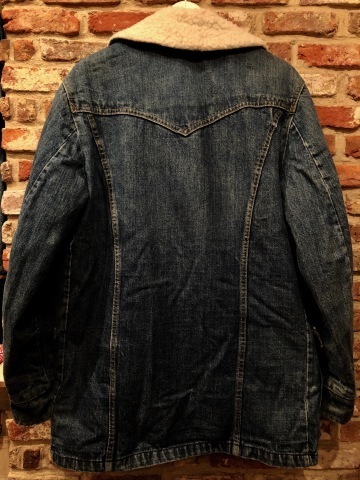 1970s " Levi's " - BLACK DYED - WESTERN YOKE Vintage TRUCKER JACKET . 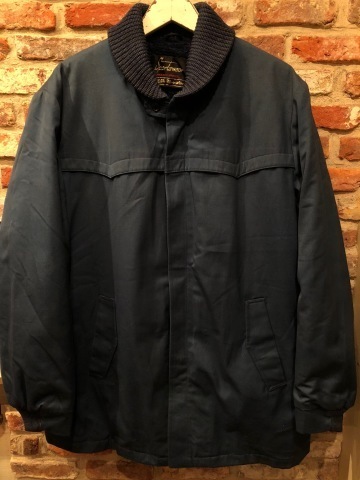 1980-81 " DELONG - SPORTS WEAR - " - melton WOOL × LEATHER - VINTAGE AWARD JACKET . 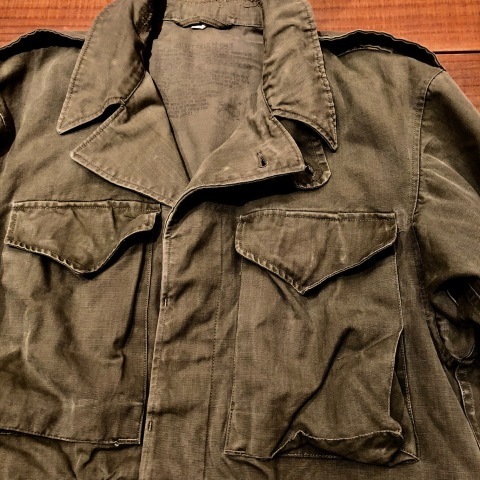 1940s " U.S ARMY " M-1943 VINTAGE MACKINAW COAT - 3rd MODEL - . 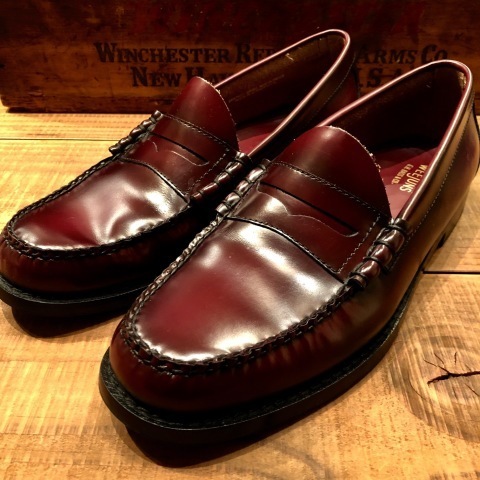 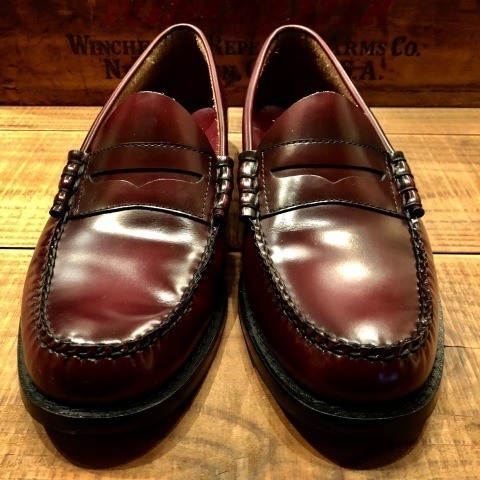 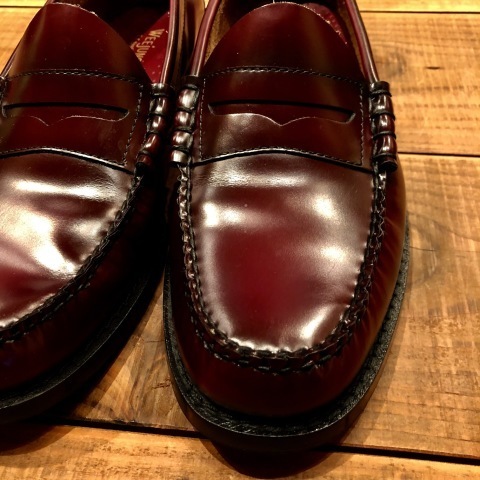 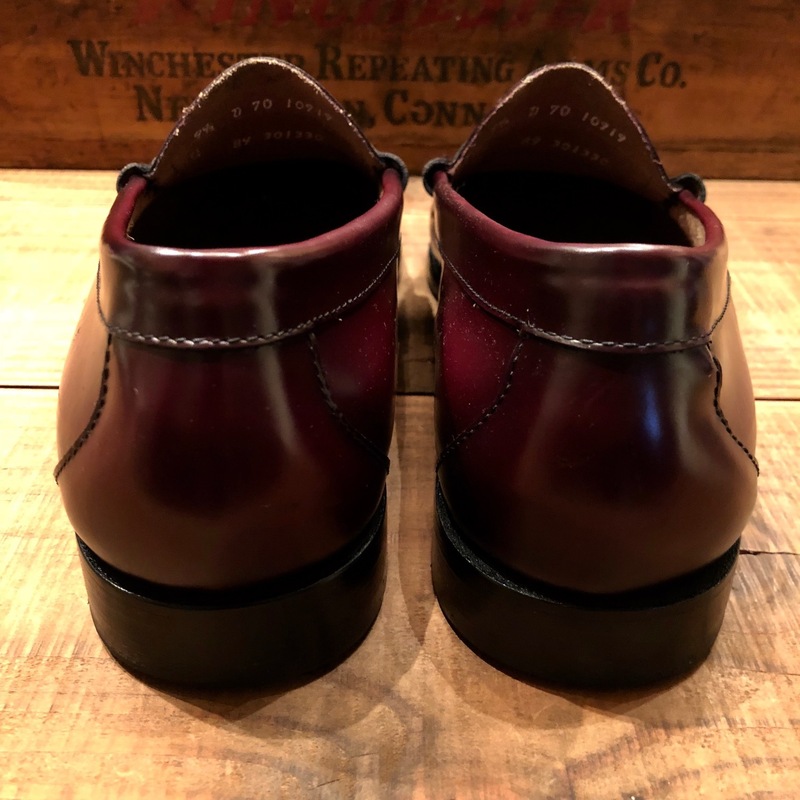 1990s " RED WING " 875 model - IRISH SETTER - VINTAGE MOC toe BOOTS . 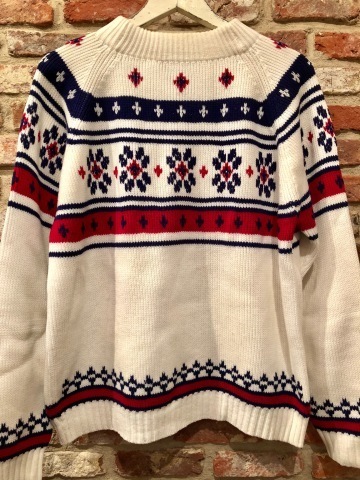 1950s " JUNE OLSON " 100% WOOL VINTAGE - FAIR ISLE - L/G CARDIGAN . 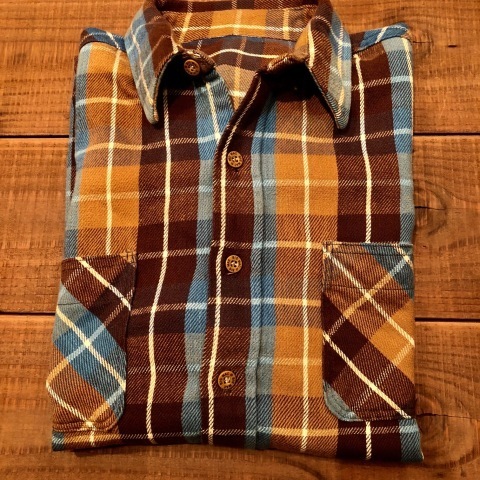 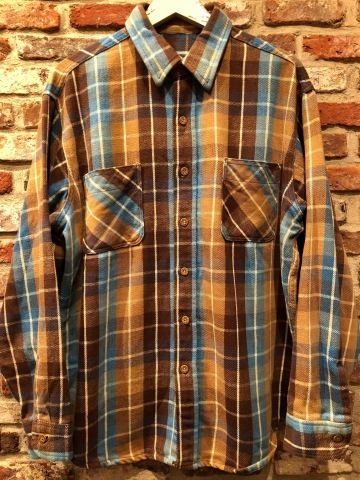 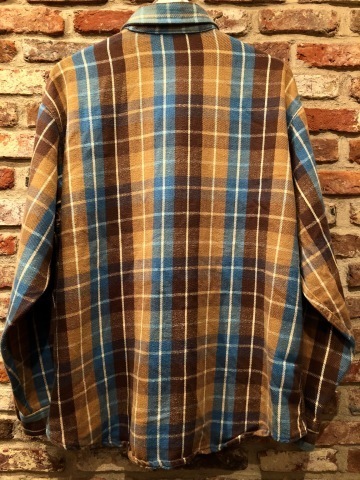 1960s " ARROW " VINTAGE - RAYON - BOX-TAIL CHECK SHIRTS . 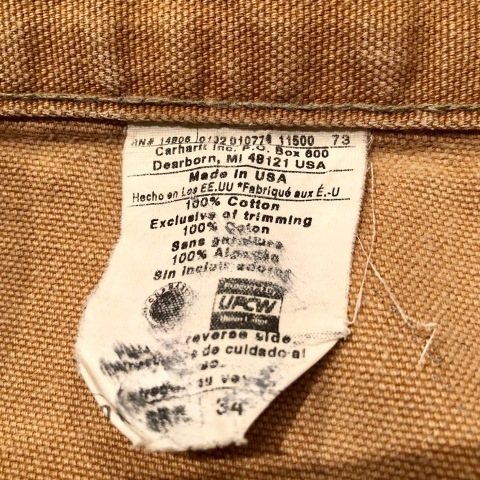 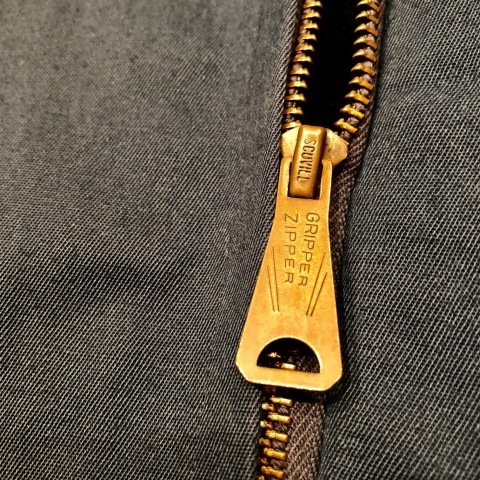 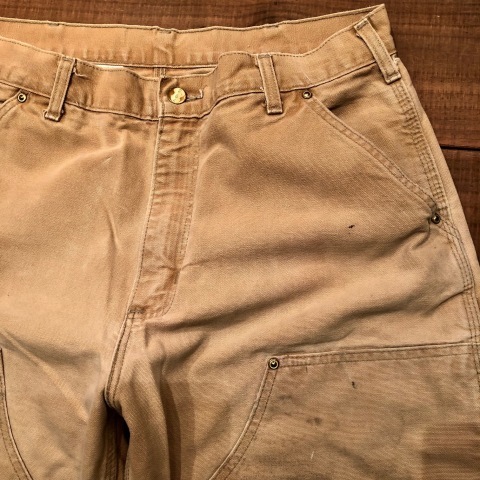 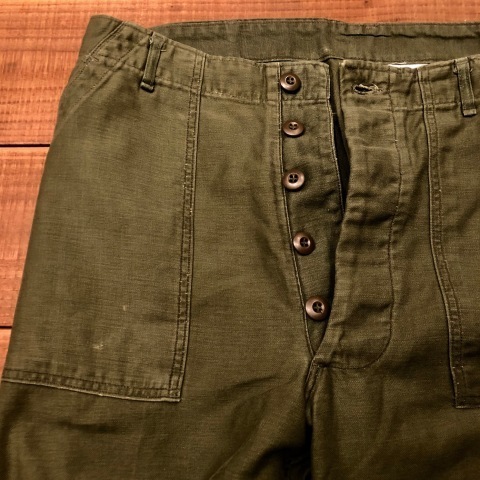 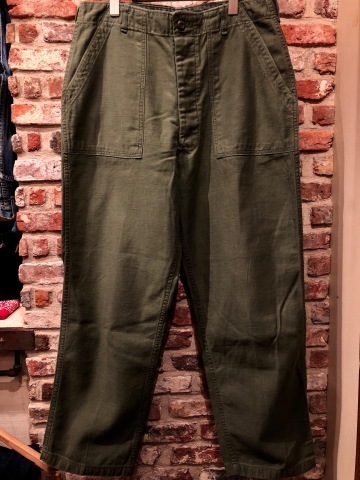 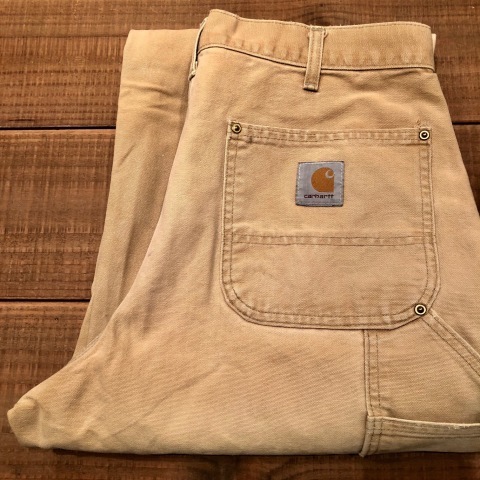 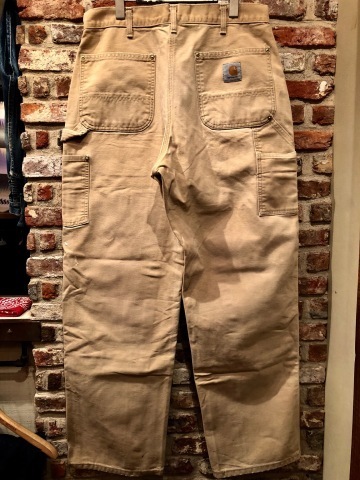 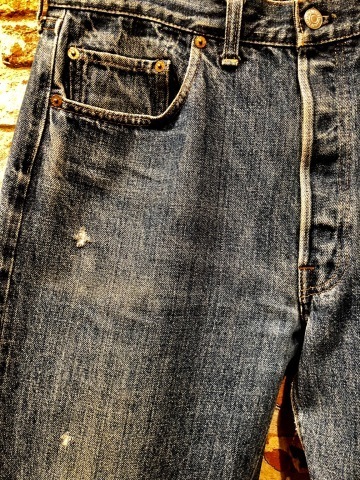 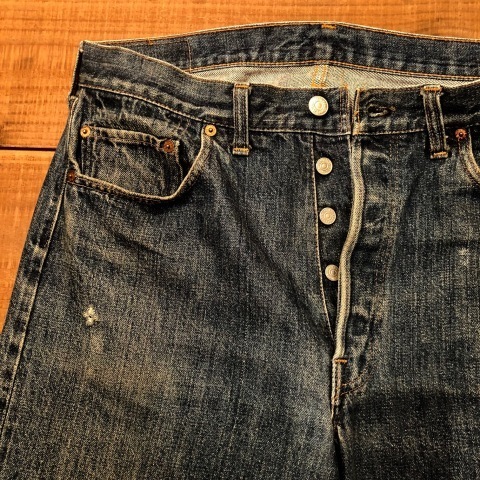 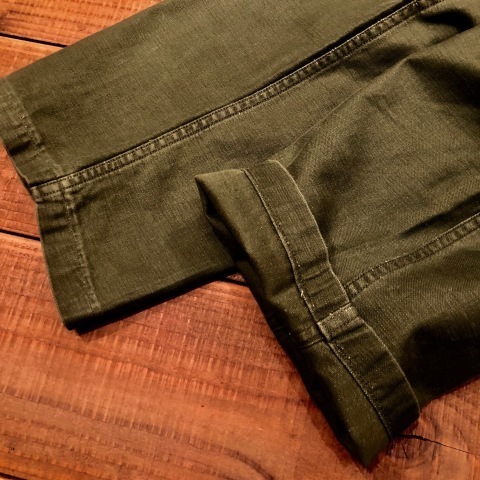 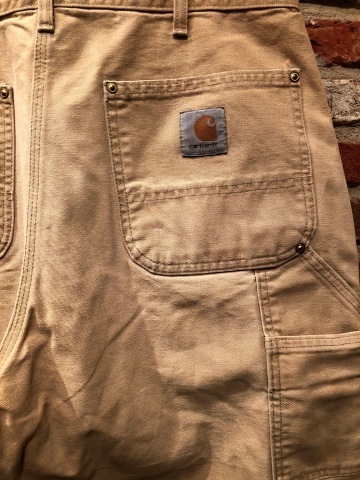 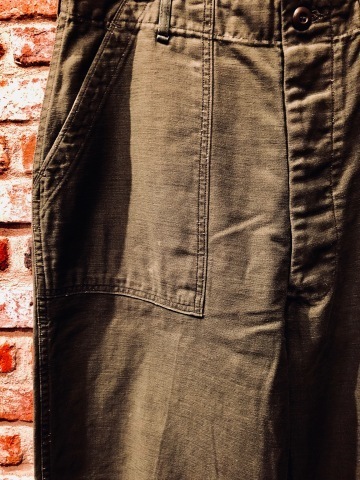 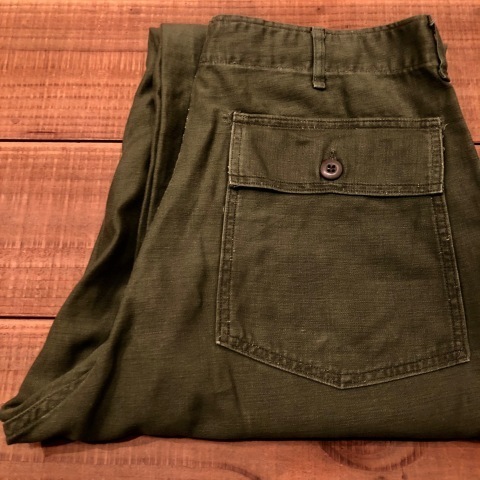 Early 1990s " DICKIES - MADE IN U.S.A - " 874 TC TWILL WORK TROUSERS - mint condition - . 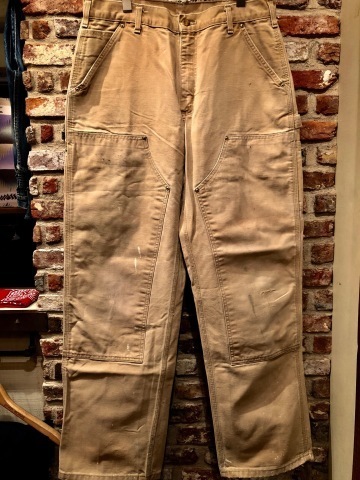 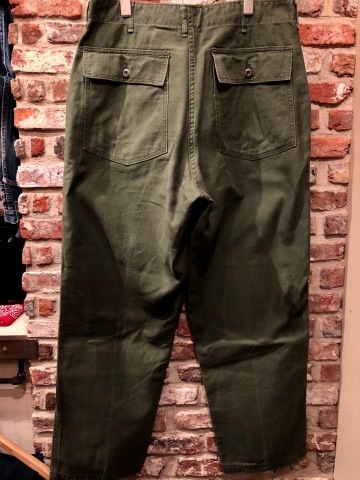 1950s " U.S ARMY " - M 1951 - 100% cotton SATEEN VINTAGE CARGO PANTS . 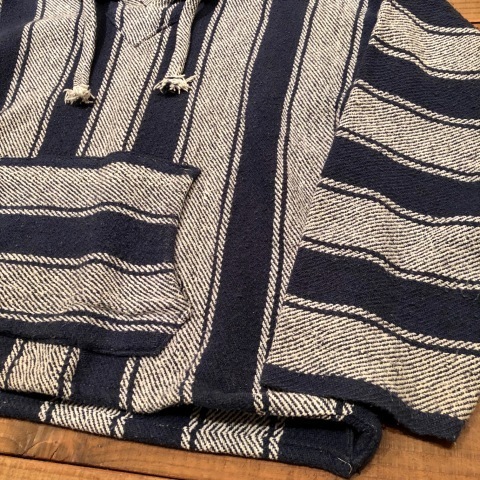 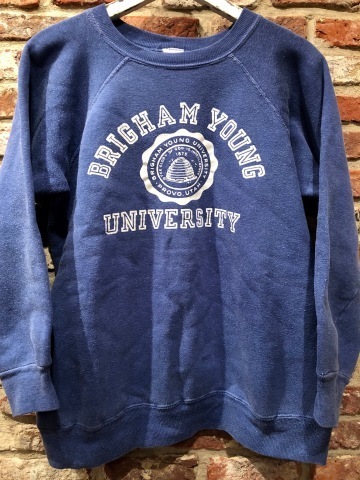 1950s " BRINE CO.INC - ATHENTIC SUPPLIES - " 100% virgin WOOL VINTAGE LETTERED CARDIGAN . 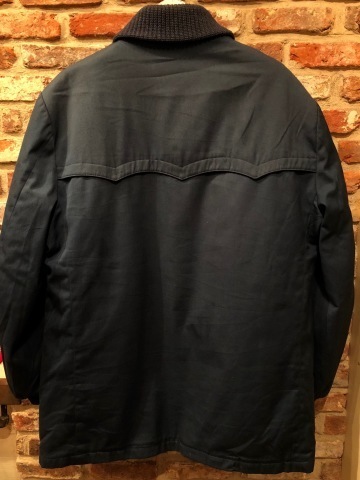 1960-70s " - TAILORED by - BUTWIN " - BLACK × YELLOW - VINTAGE NL AWARD JACKET . 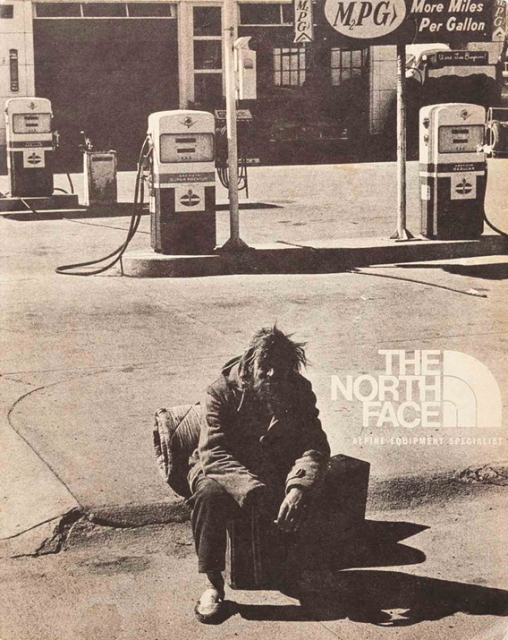 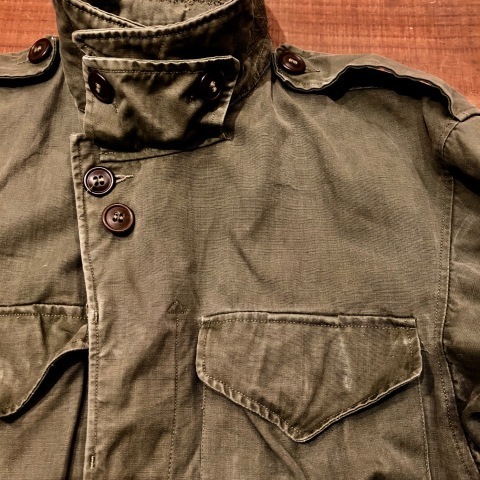 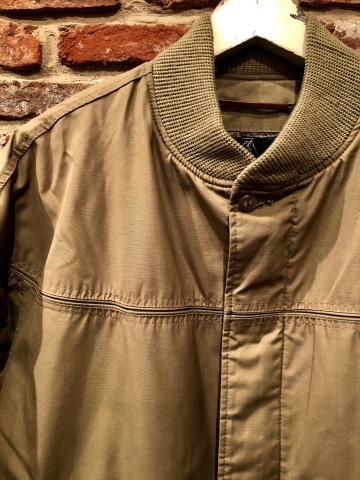 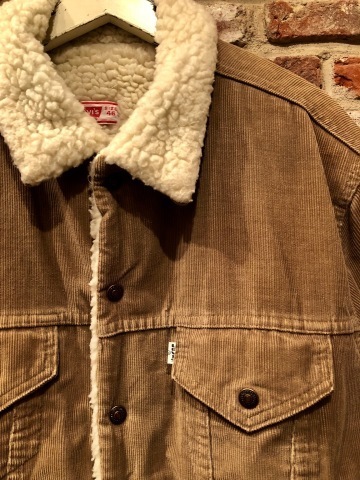 1970s " SIERRA DESIGN " - 60/40 2nd MODEL - VINTAGE MOUNTAIN PARKA . 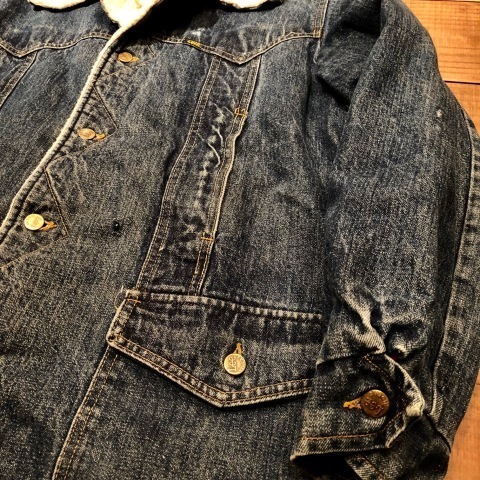 1970s " Lee " - STORM RIDER - DENIM × BOA vintage RANCH COAT . 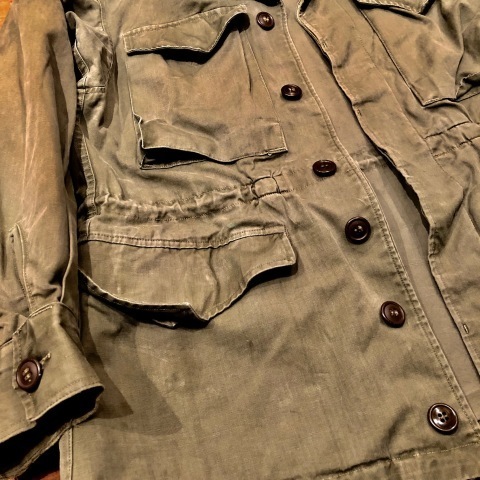 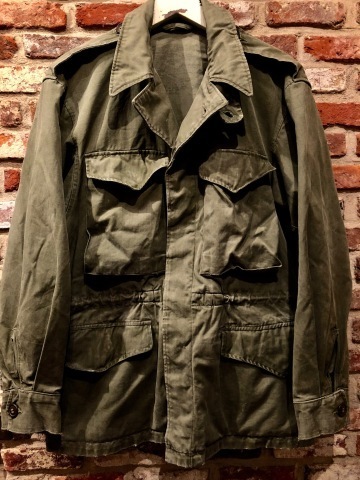 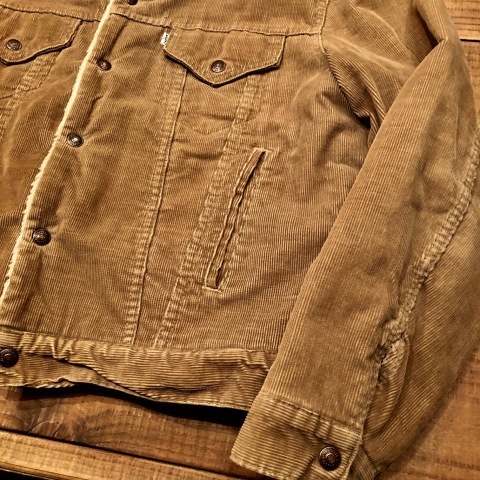 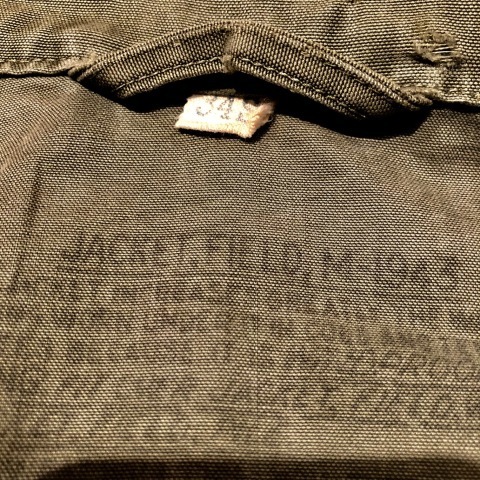 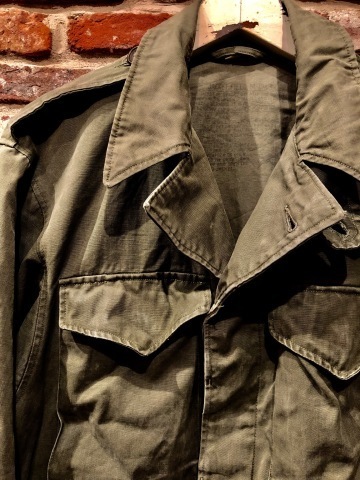 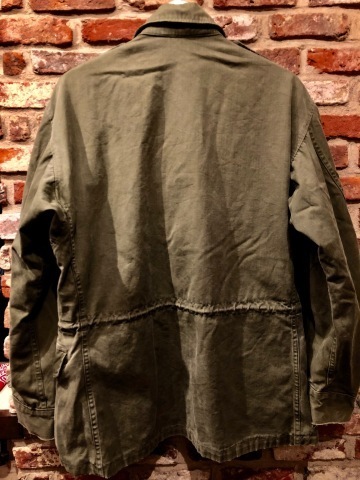 1940s " U.S ARMY " M -１９４３ VINTAGE FIELD JACKET . 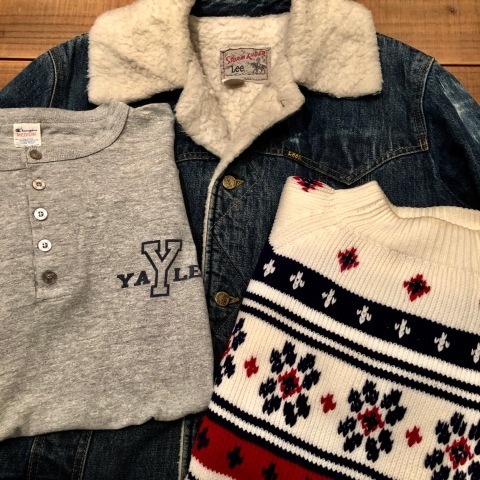 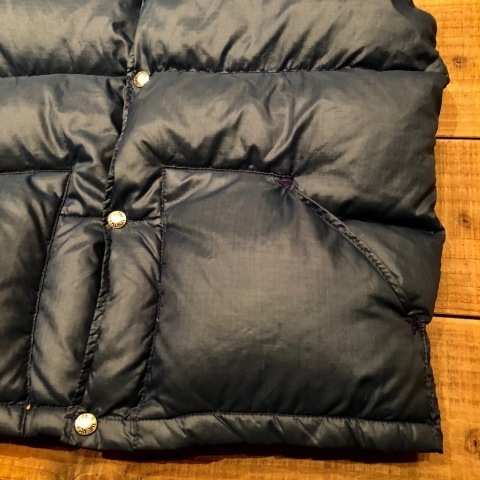 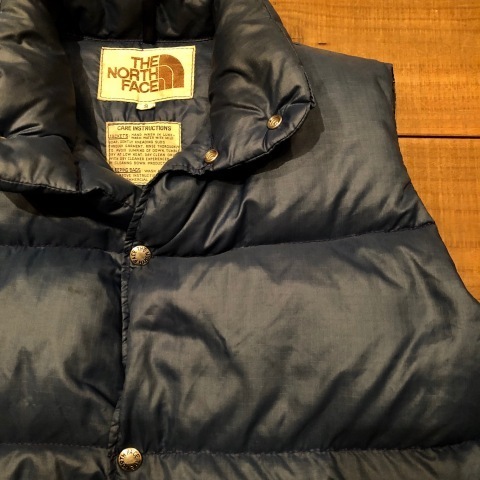 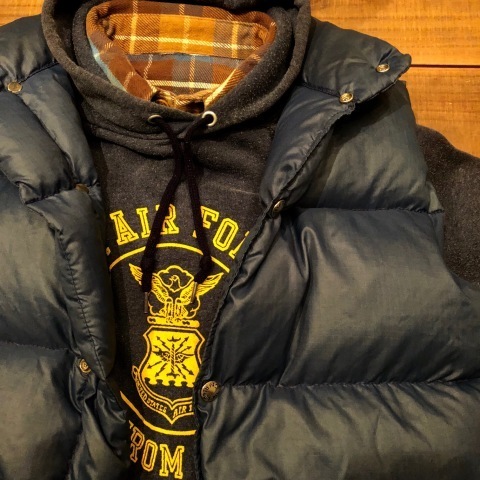 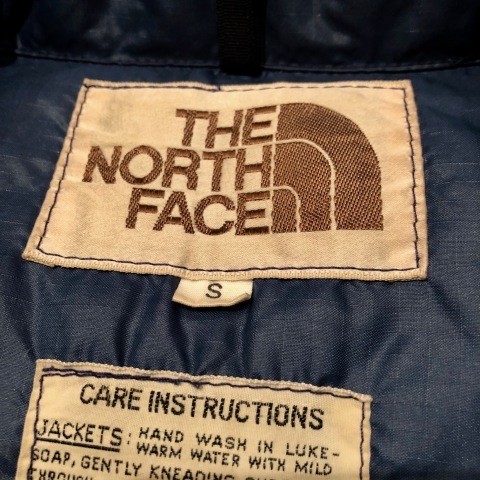 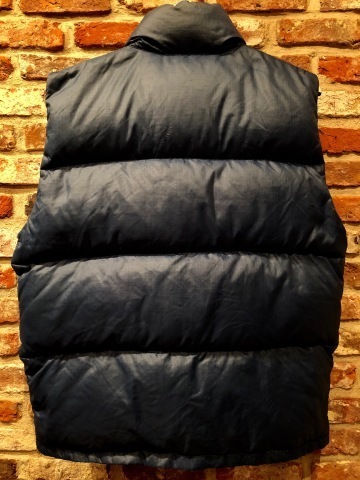 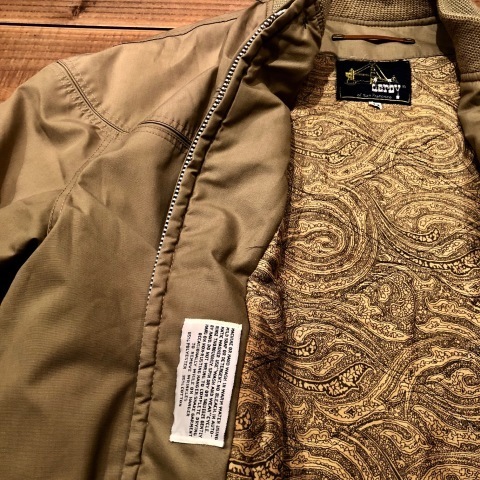 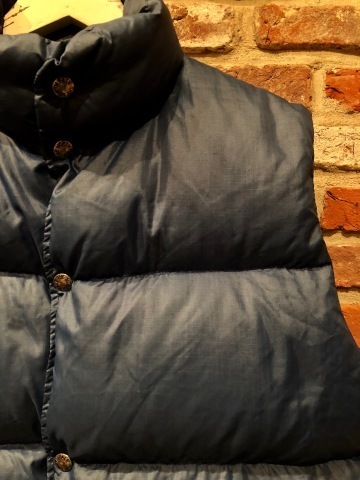 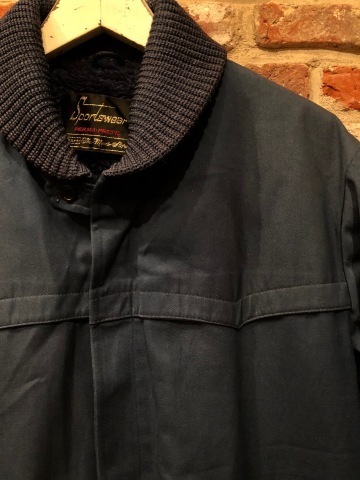 1970-80s " THE NORTH FACE " - 初期 茶タグ - R/S NYLON Vintage DOWN VEST . 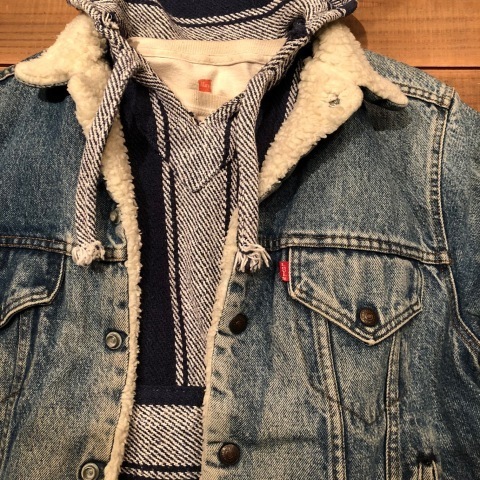 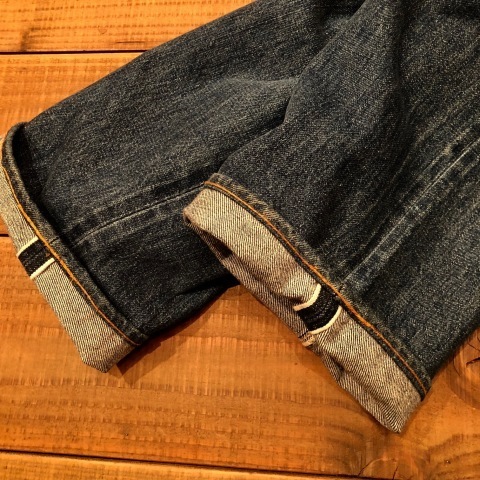 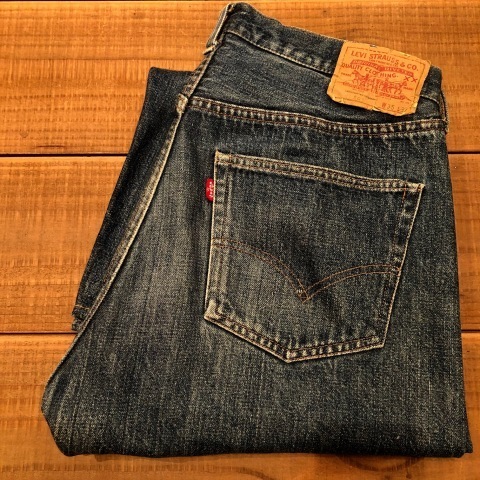 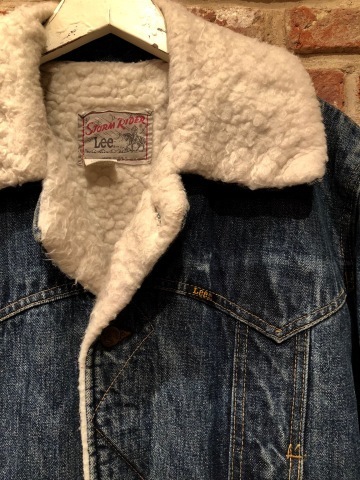 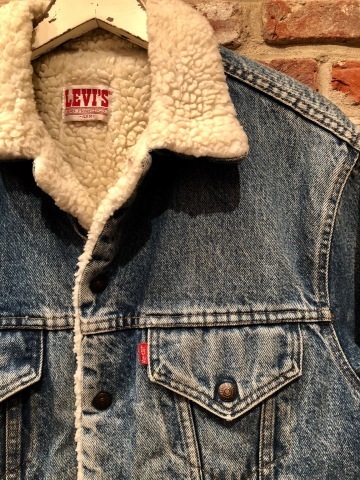 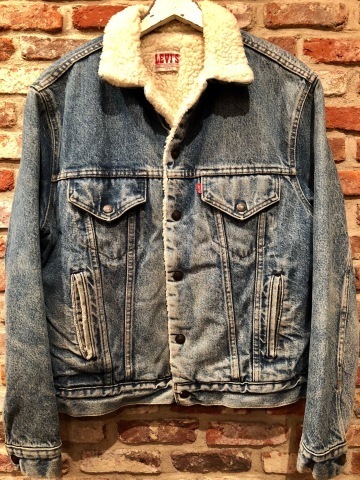 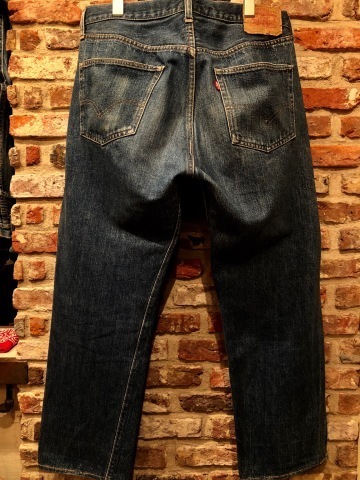 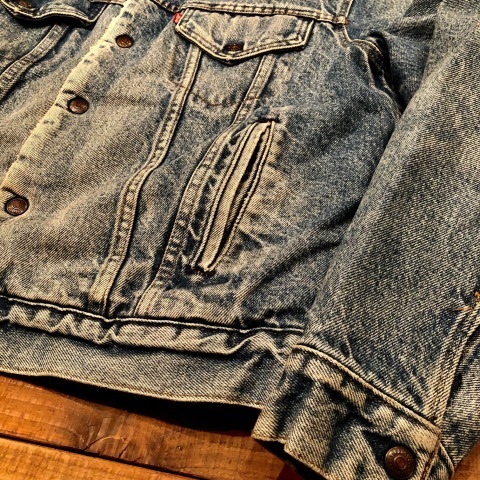 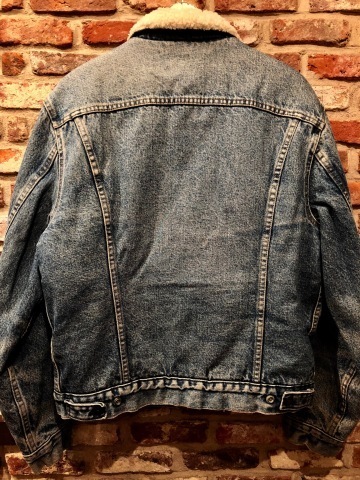 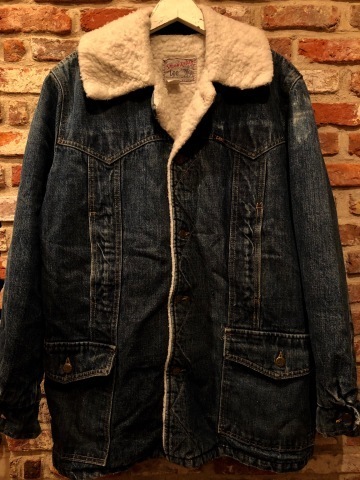 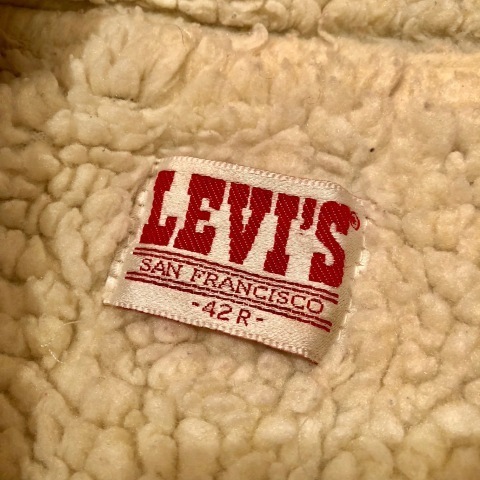 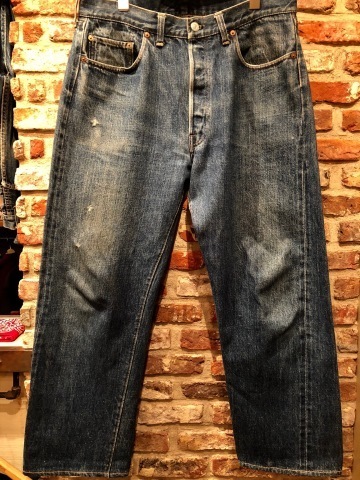 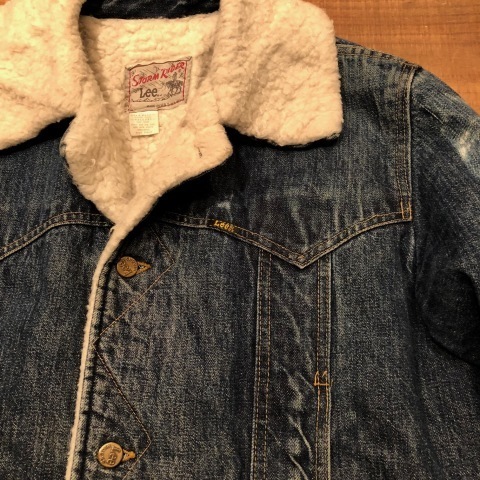 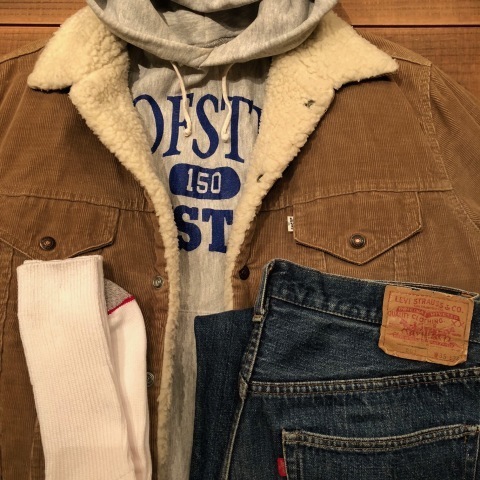 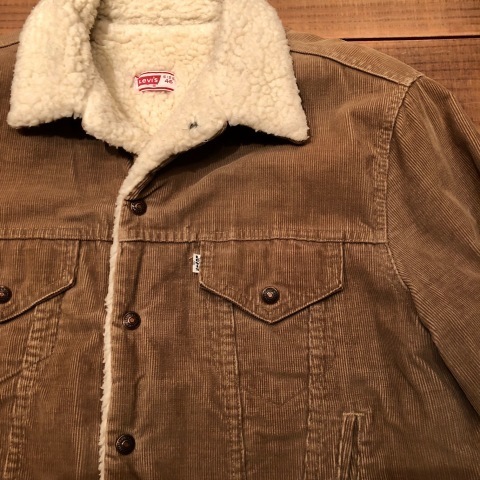 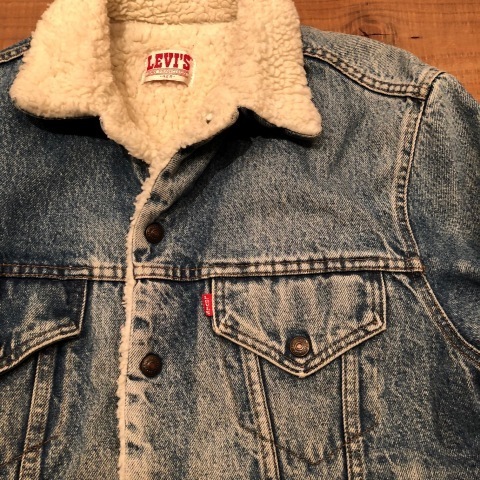 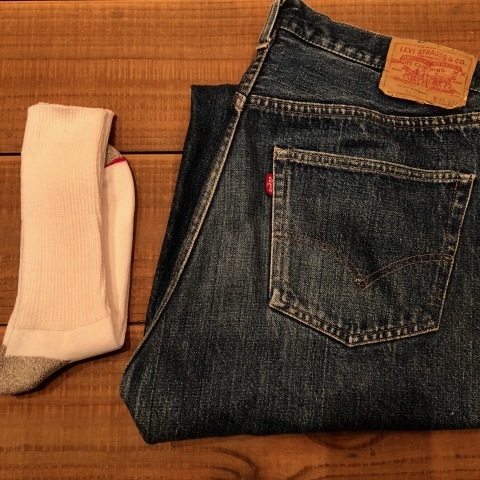 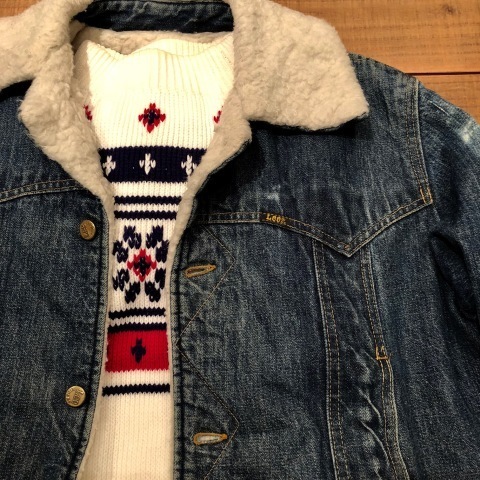 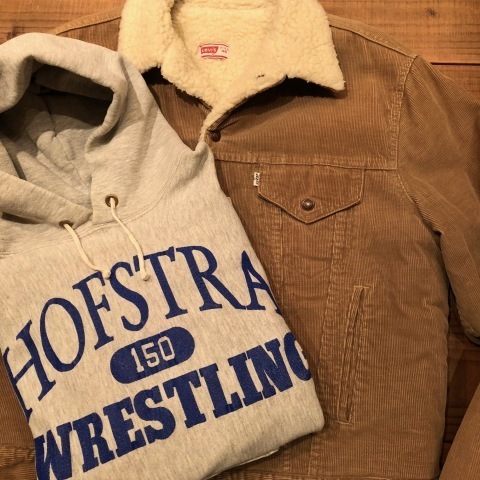 1980s " Levi's " 70506 model - DENIM × BOA - VINTAGE TRUKCER JACKET . 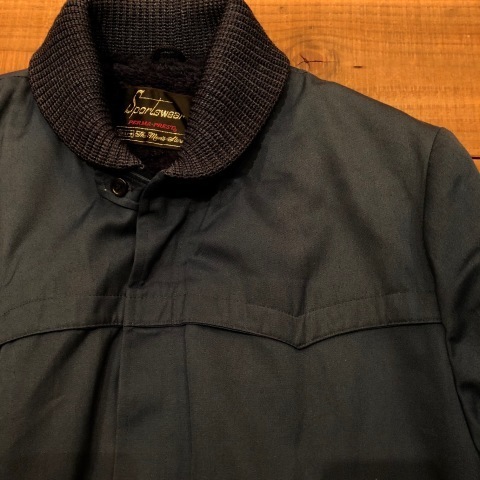 1960-70s " SEARS - SPORTS WEAR - " TC TWILL shell - NAVY - VINTAGE PHARAOH JACKET . 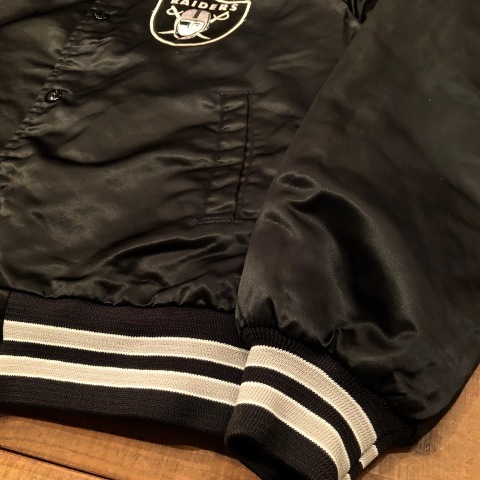 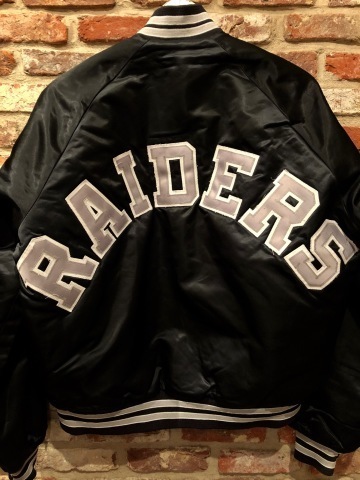 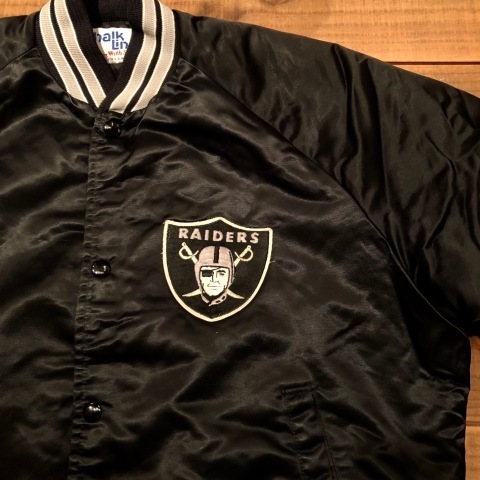 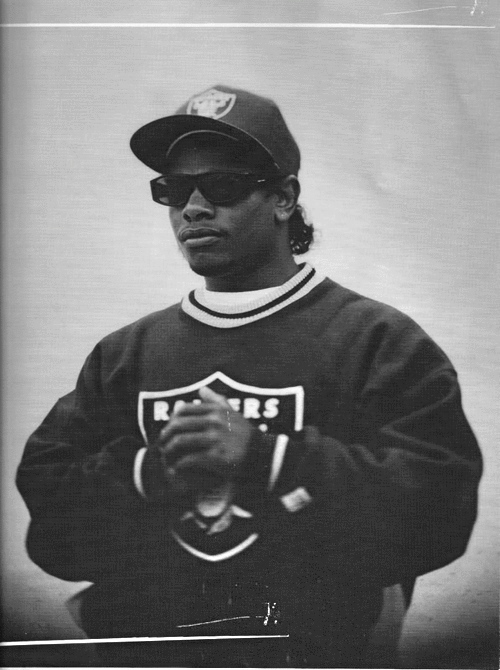 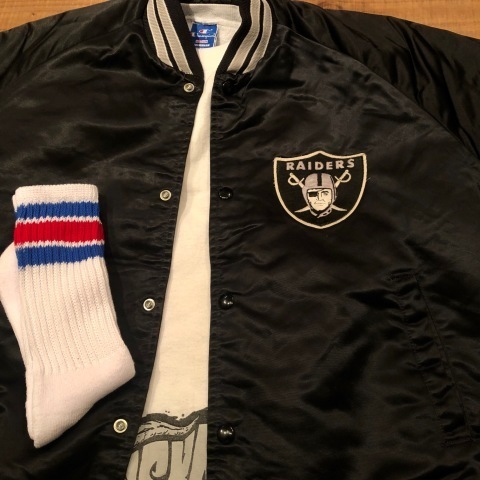 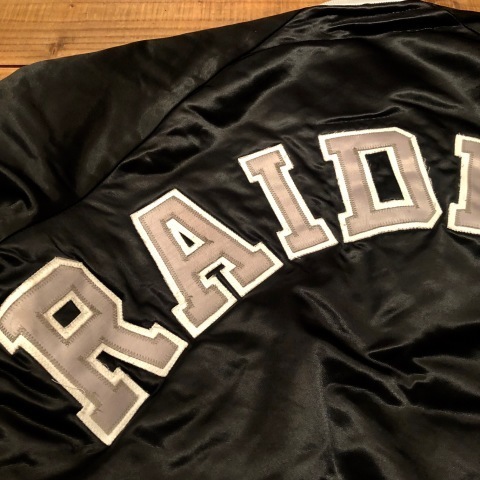 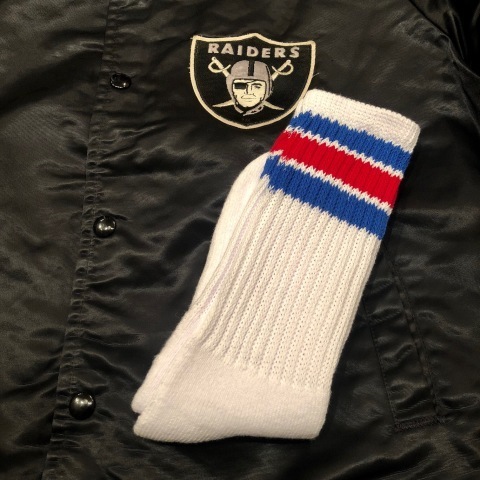 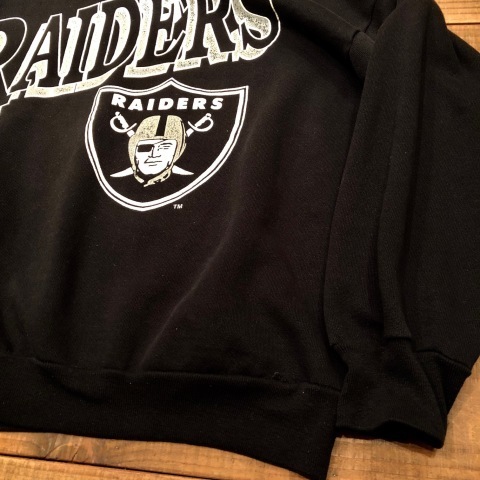 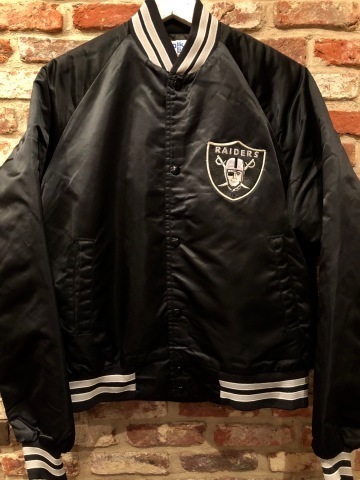 Late 1980s " Chalk Line " - LOS ANGELES RAIDERS - N.F.L Official STADIUM JACKET . 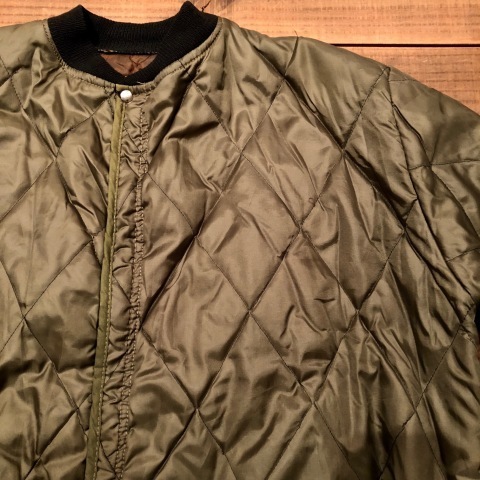 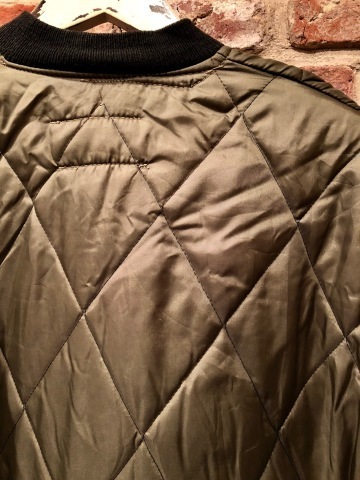 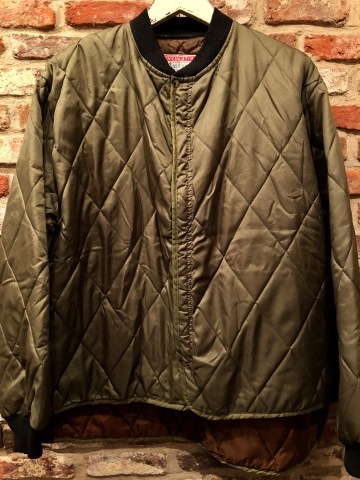 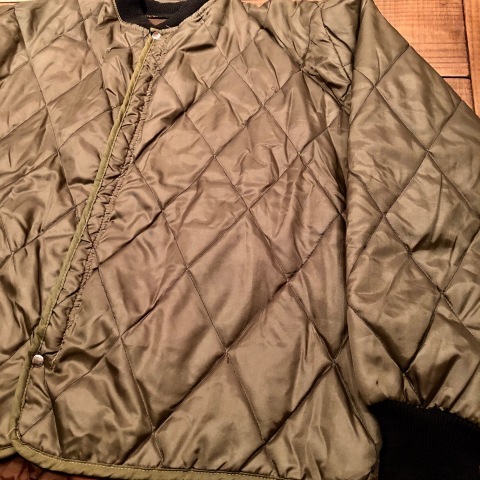 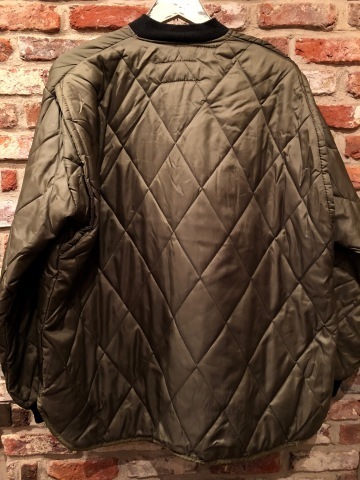 1970s " DUPONT POLYESTER " - Diamond QUILTING - NYLON LINER JACKET . 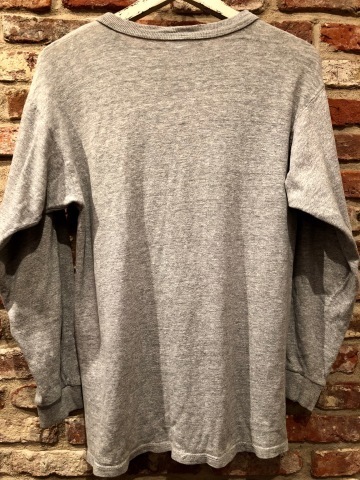 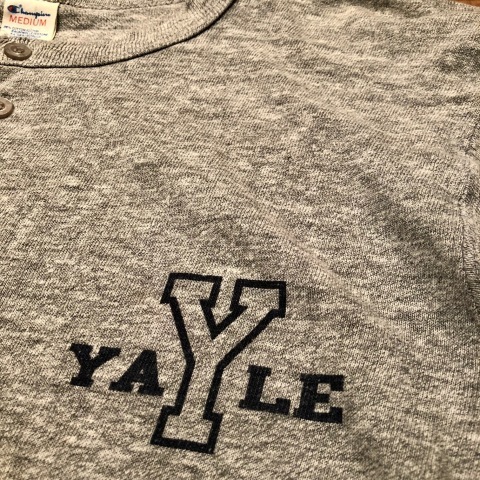 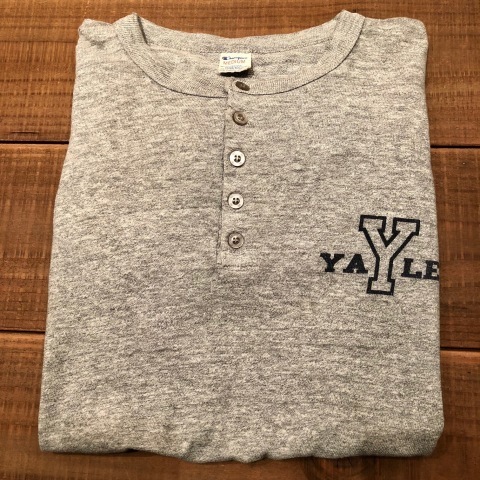 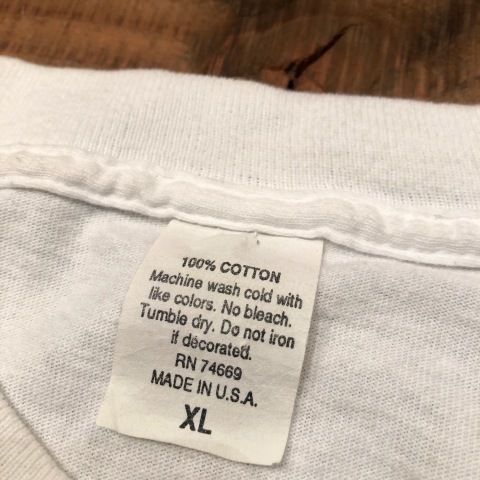 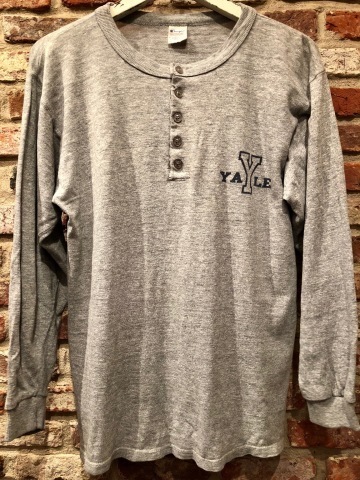 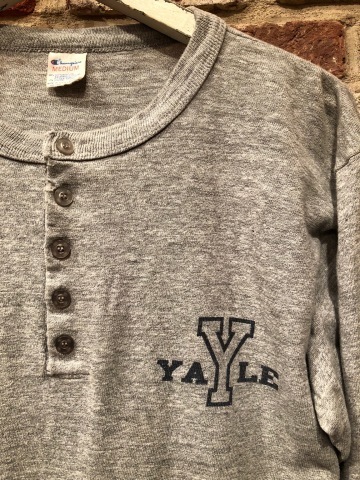 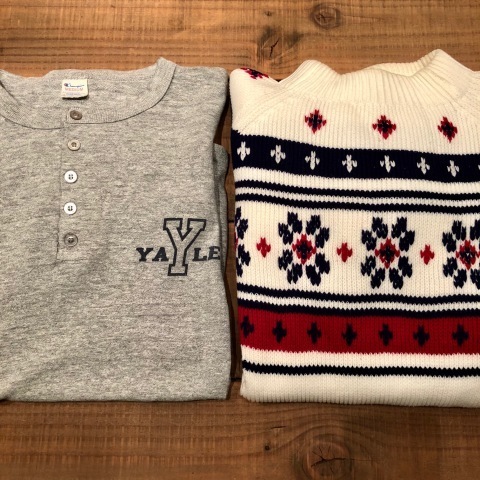 Henley-Neck L/S Tee SHIRTS . 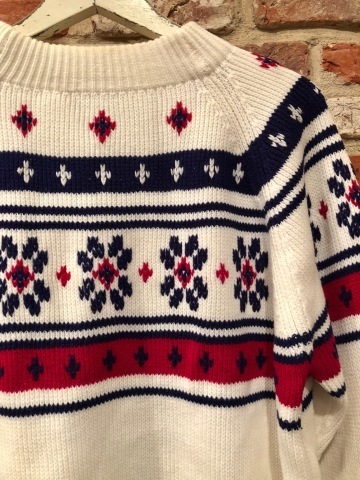 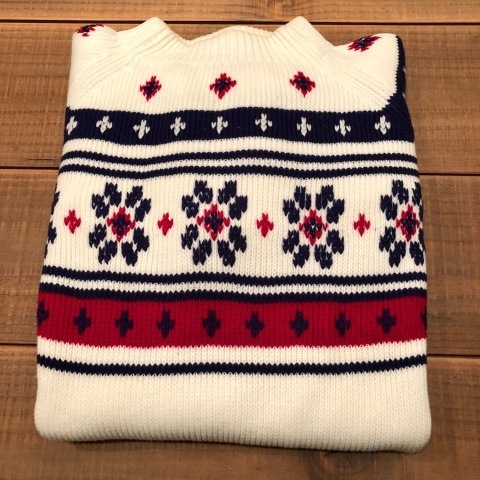 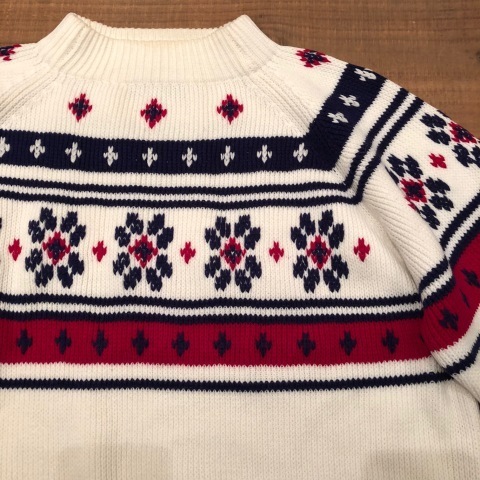 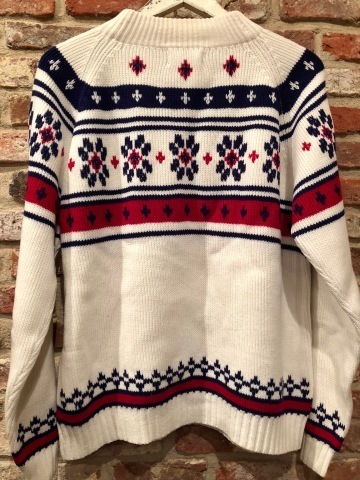 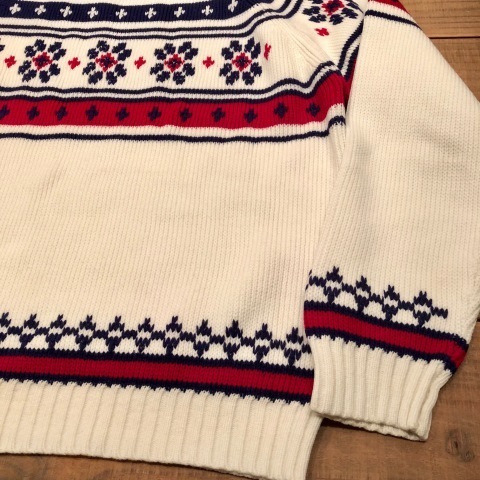 1970s " J.C Penneys "
- SNOW pattern - CL SWEATER . 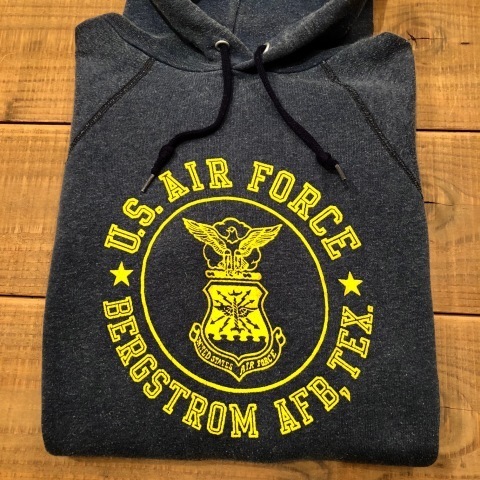 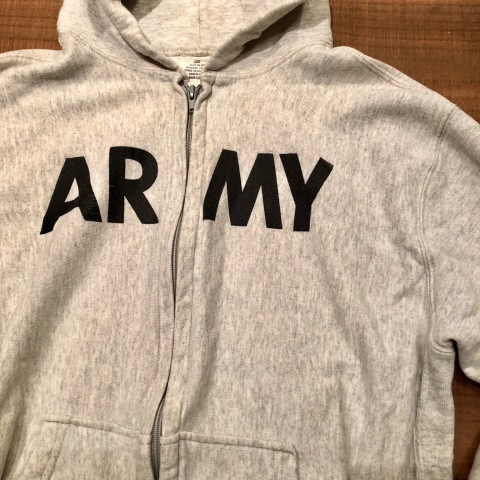 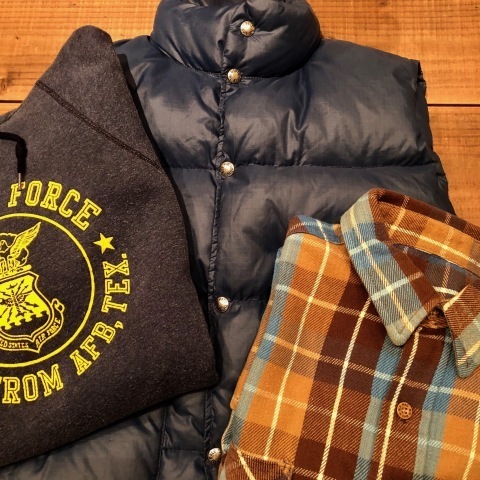 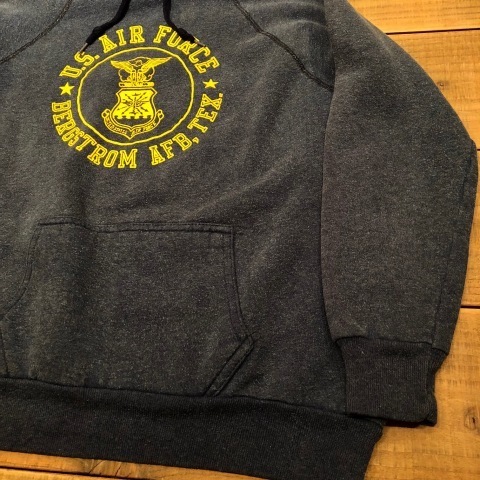 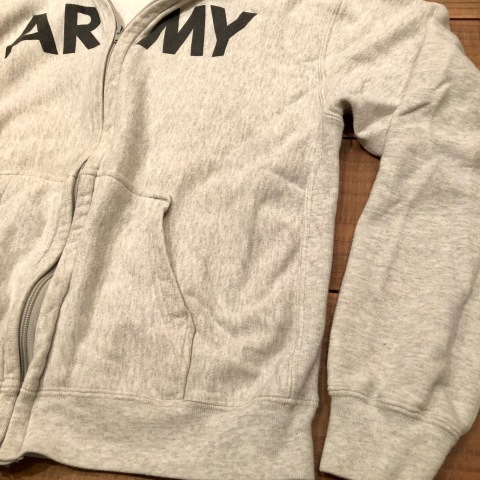 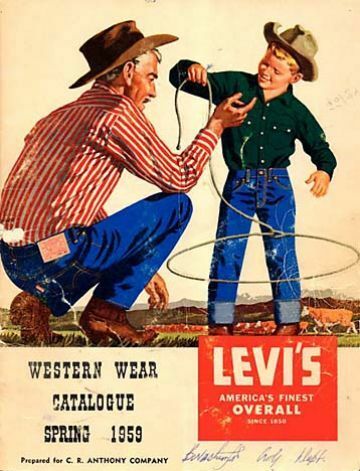 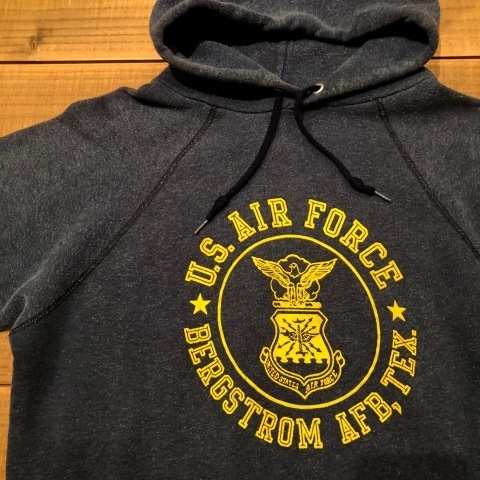 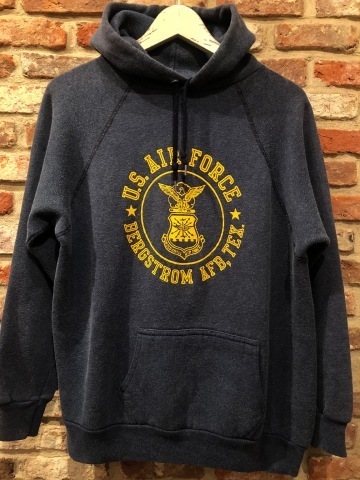 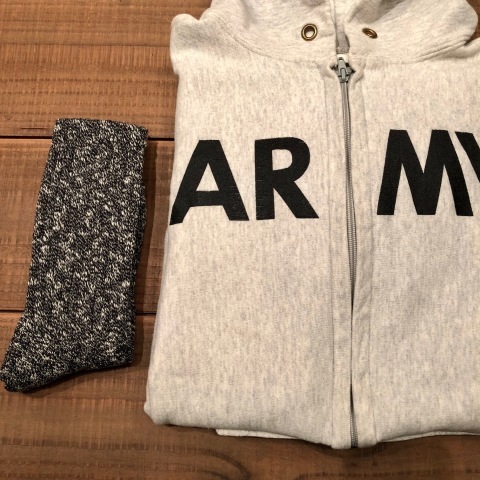 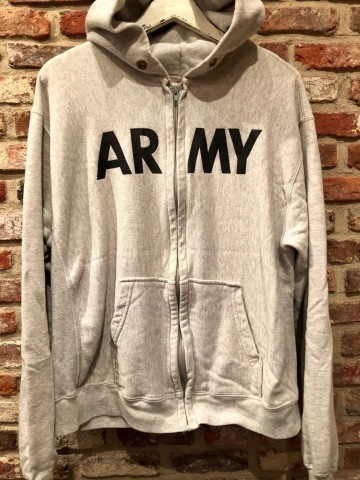 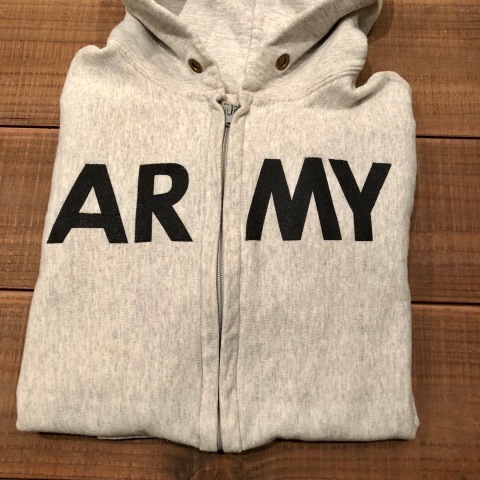 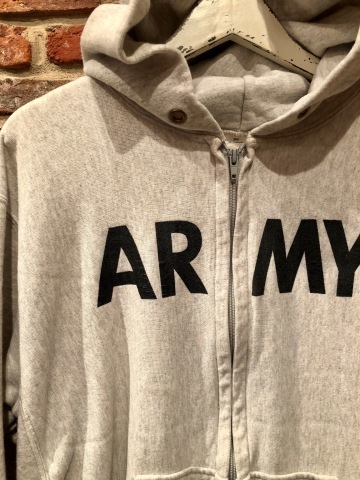 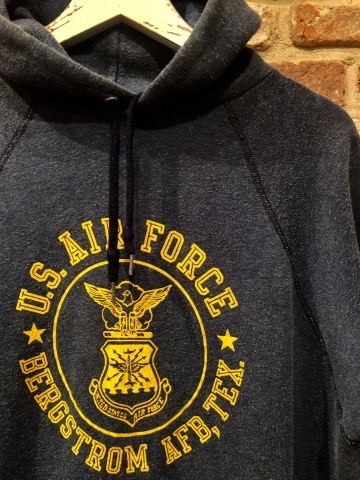 １９４０年代製 " U.S ARMY "
良い雰囲気の " ８０ｓ リバースウィ―ブ "
Early 1980s " ARTEX "
BRAND : Early 1980s " ARTEX "
1970-80s " THE NORTH FACE "
BRAND : 1970-80s " THE NORTH FACE "
Vintage Goose DOWN VEST . 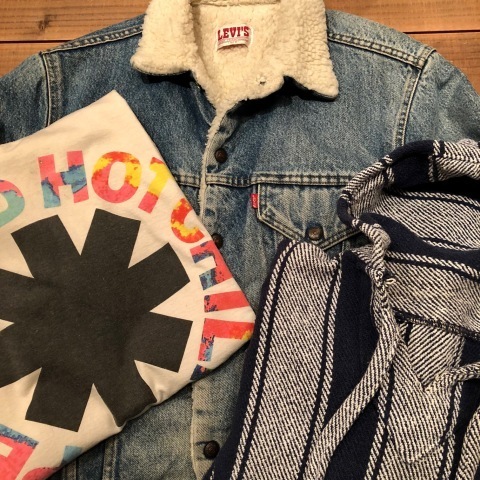 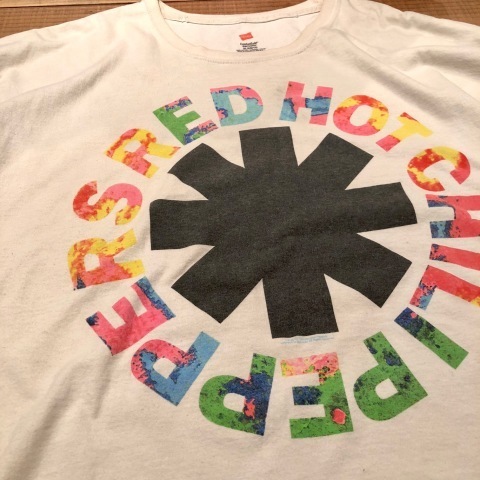 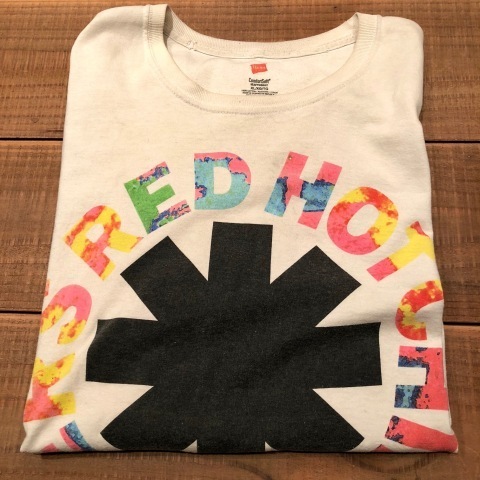 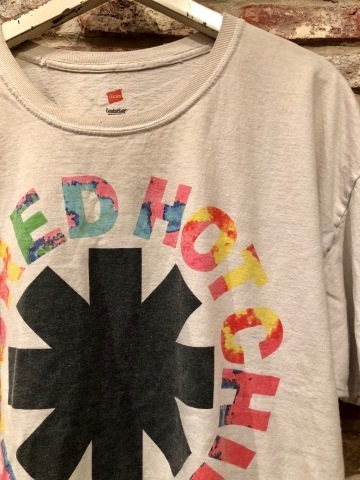 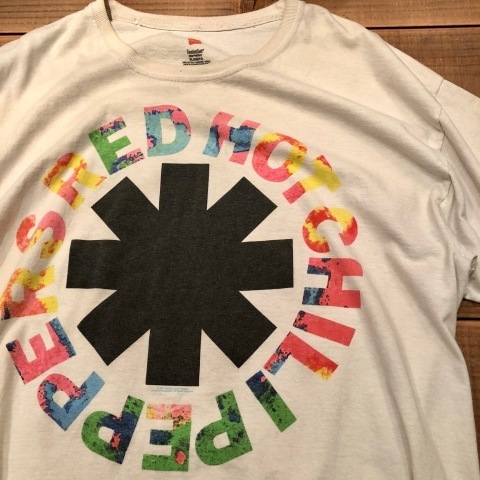 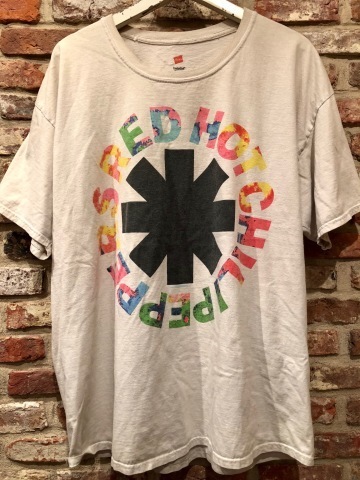 2000s " RED HOT CHILI PEPPERS "
" RED HOT CHILI PEPPERS "
Reissue ROCK Tee SHIRTS . 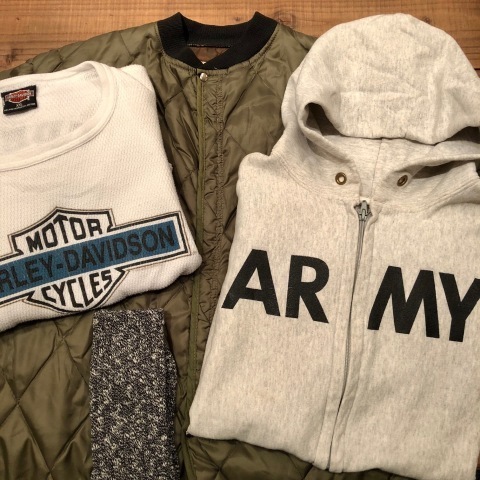 MADE IN Dominican Republic .
" 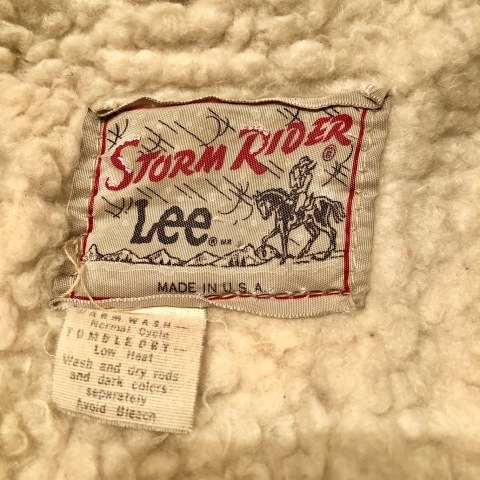 CAL DEAN " CUSTOMERS .
" 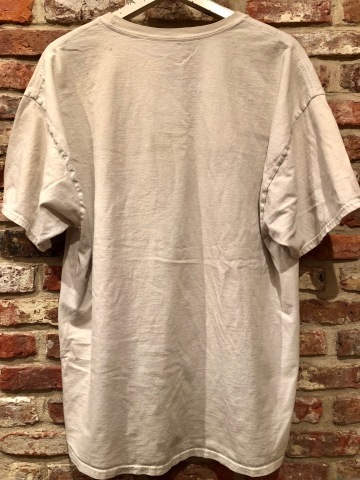 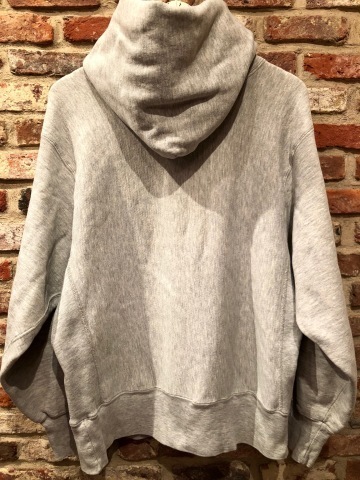 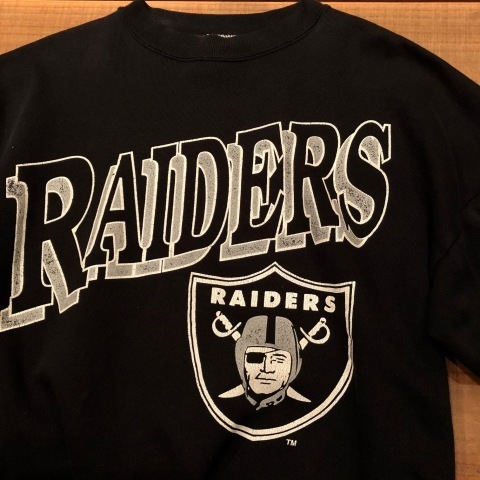 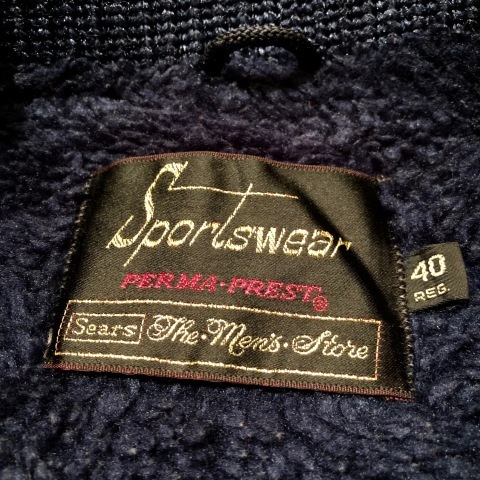 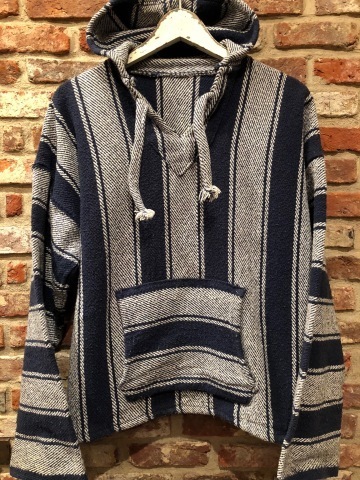 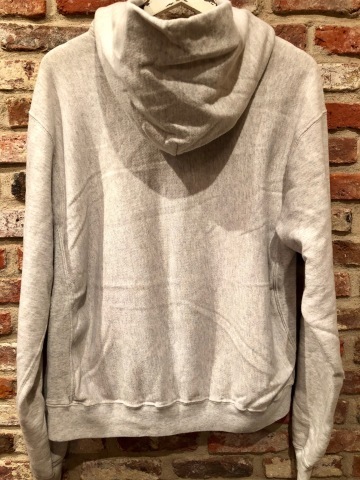 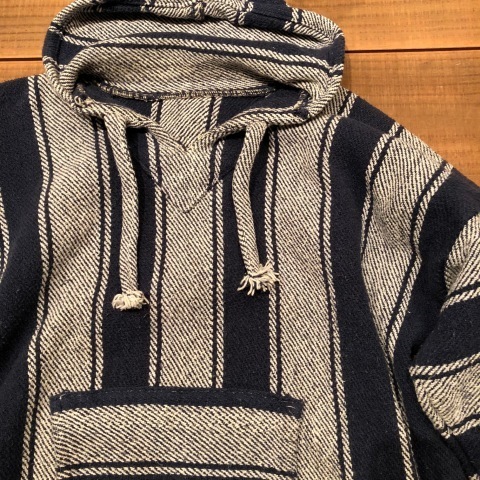 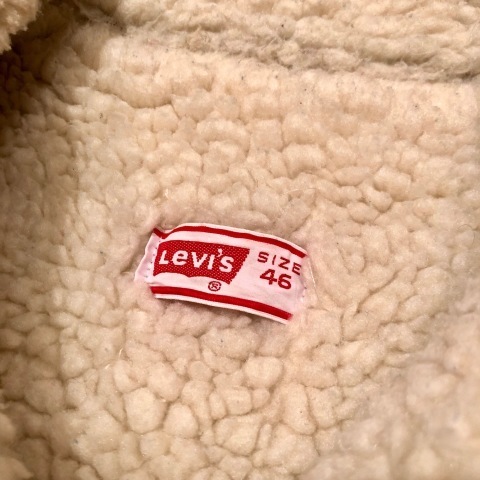 １９６０－７０ｓ SEARS - SPORTS WEAR - "
1960-70s " SEARS - SPORTS WEAR - "
" SEARS - The Men's Store - "
BRAND : 1960-70s " SEARS - SPORTS WEAR - "
1980s " LOGO 7 "
レアな " ８０ｓ スウェット "
今回 " 新入荷 " 致しました ! 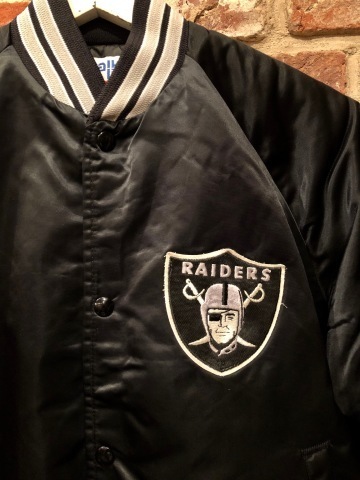 Late 1980s " Chalk Line "
BRAND : Late 1980s " Chalk Line "
N.F.L Official STADIUM JACKET . 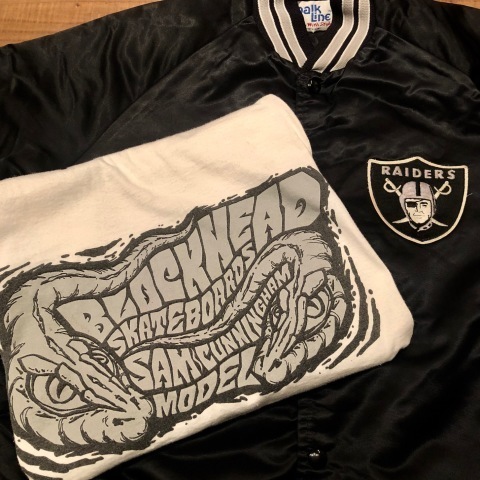 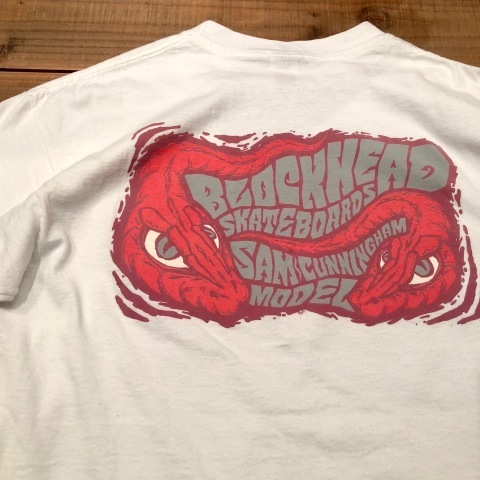 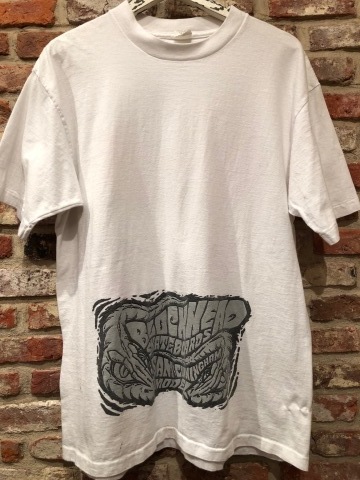 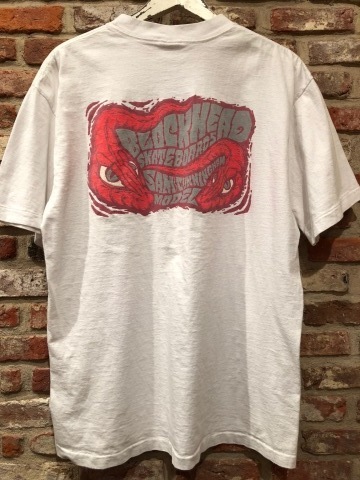 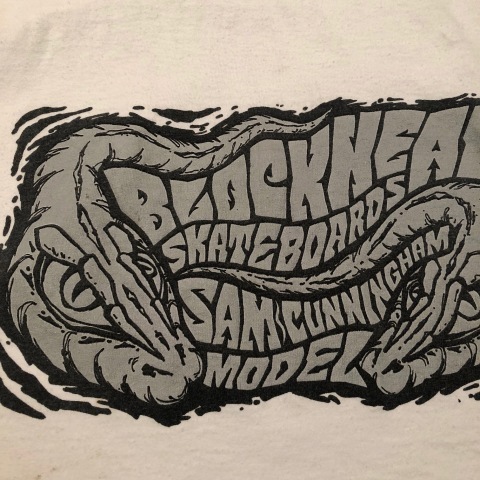 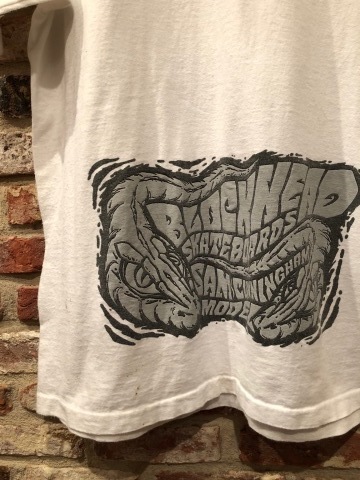 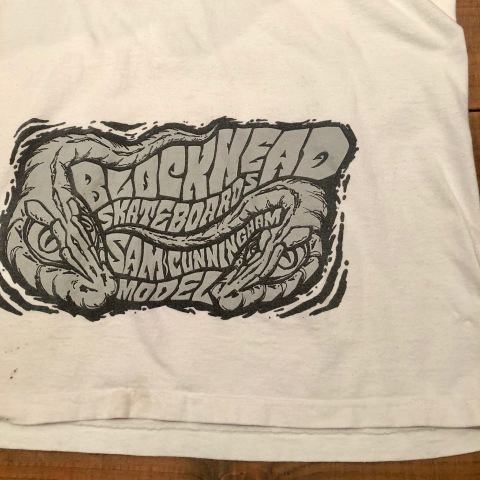 Late 1980s " BLOCKHEAD - SKATEBOARDS - "
" BLOCK HEAD SKATEBOARDS "
VINTAGE SKATE Tee SHIRTS .
" 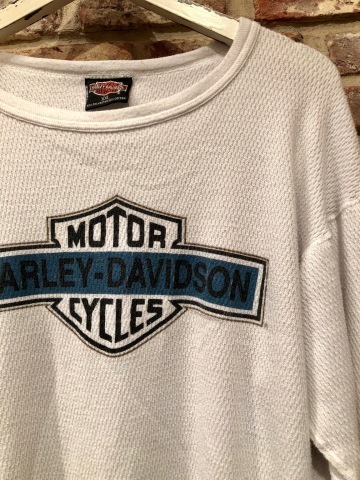 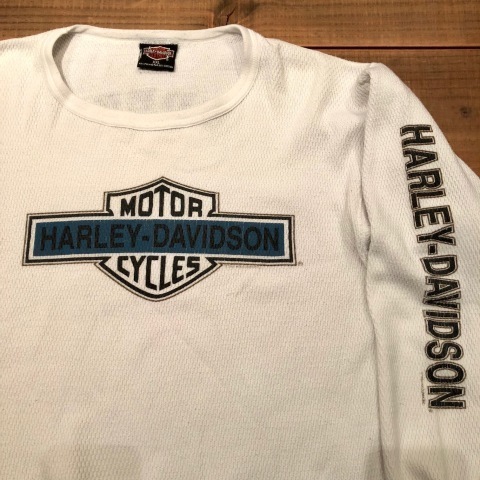 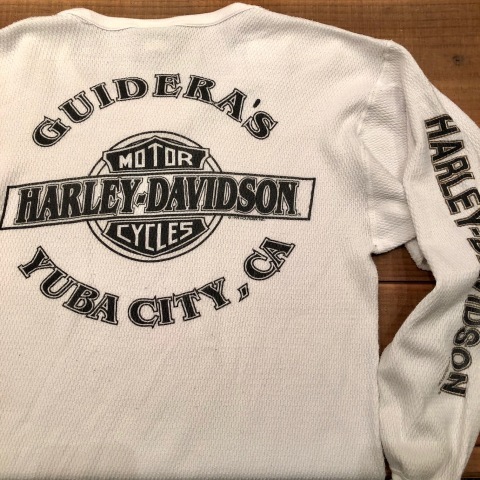 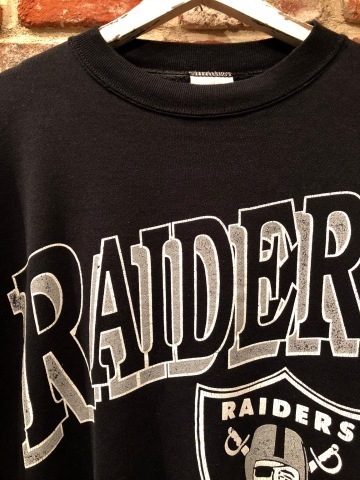 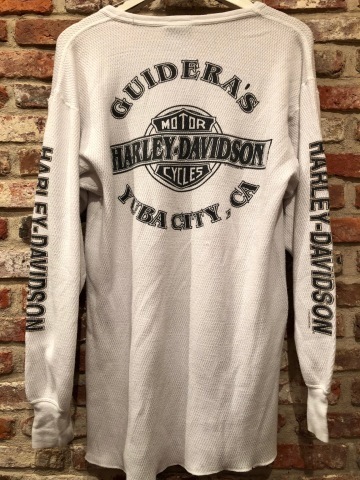 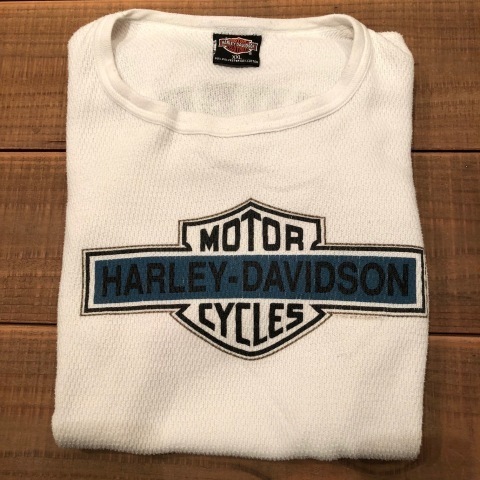 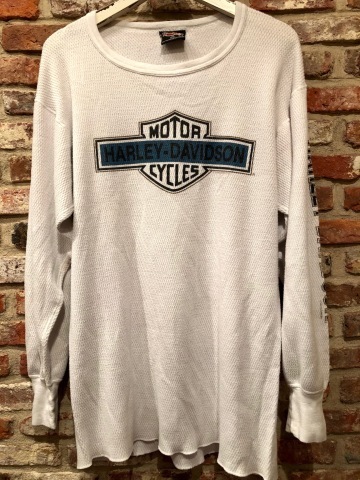 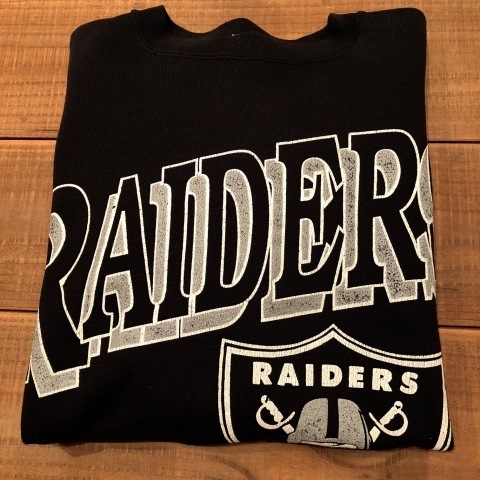 OFFICIAL ＆ LOCAL Dealer "
BRAND : 1992 " HARLEY DAVIDSON "
Classic THERMAL L/S Tee SHIRTS . 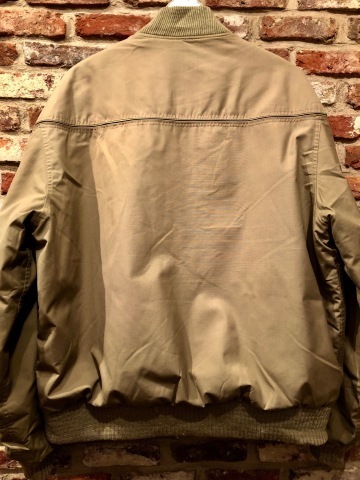 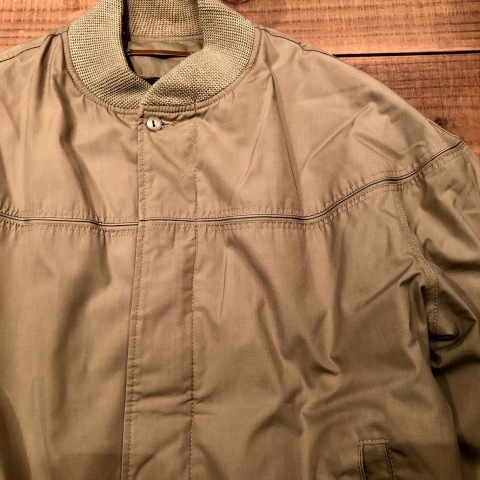 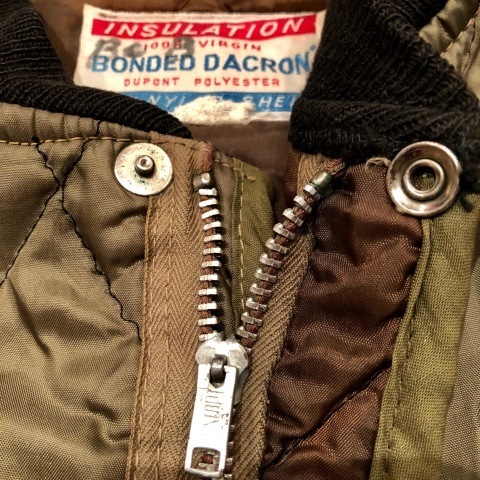 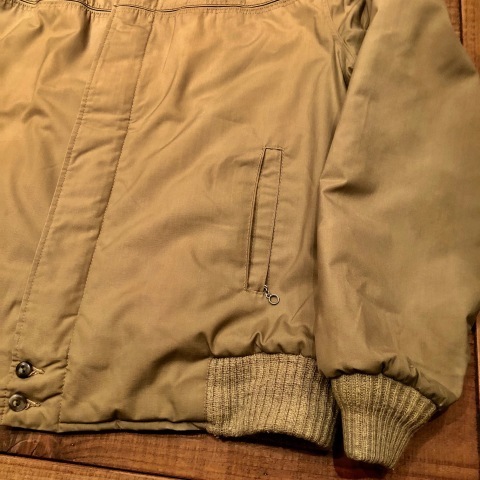 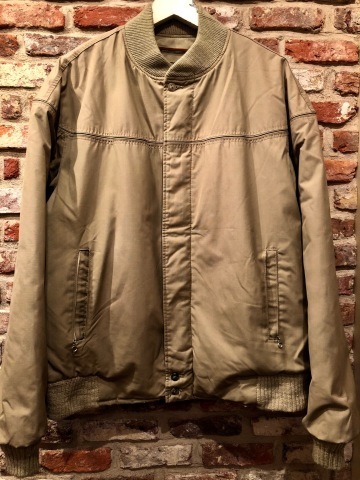 1990s " U.S ARMY "
BRAND : 1990s " U.S ARMY "
1970s " DUPONT POLYESTER "
BRAND : 1970s " DUPONT POLYESTER "
Classic NYLON LINER JACKET . 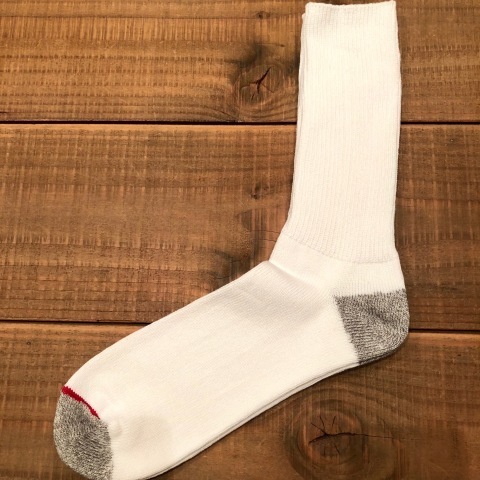 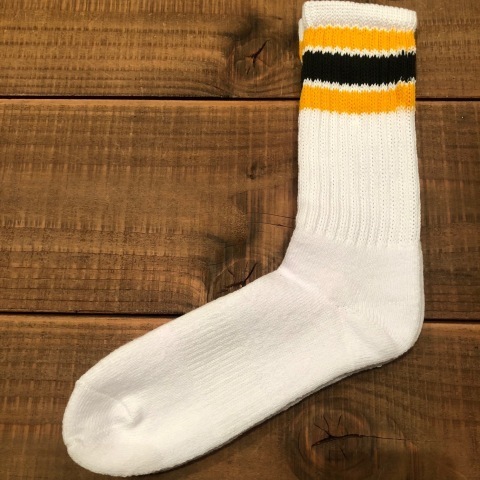 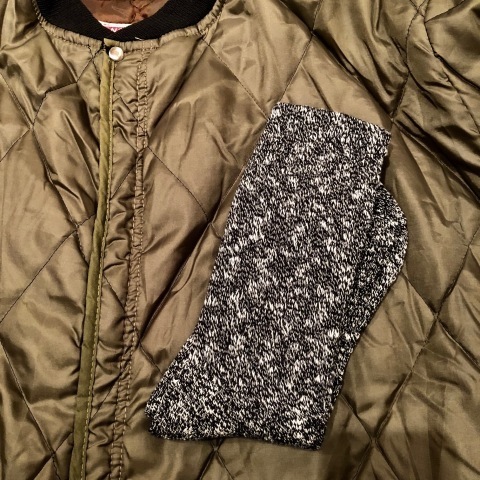 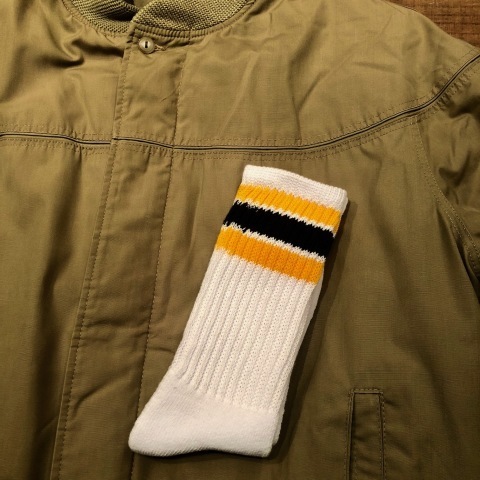 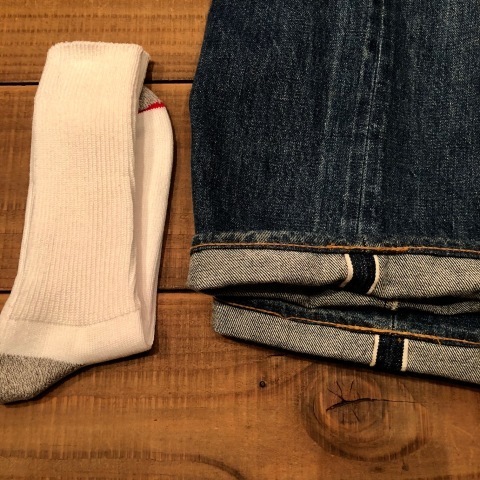 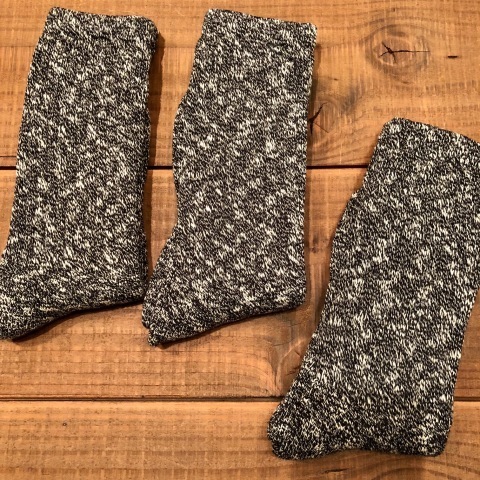 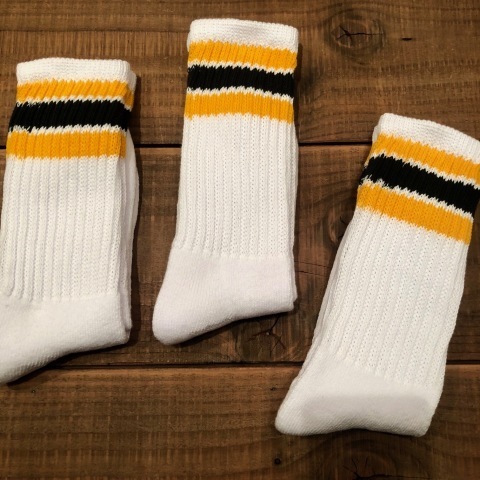 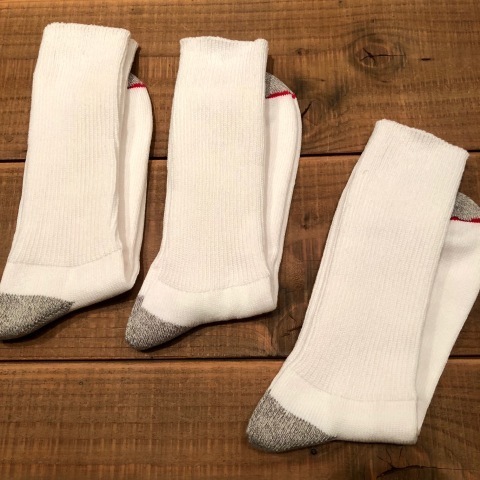 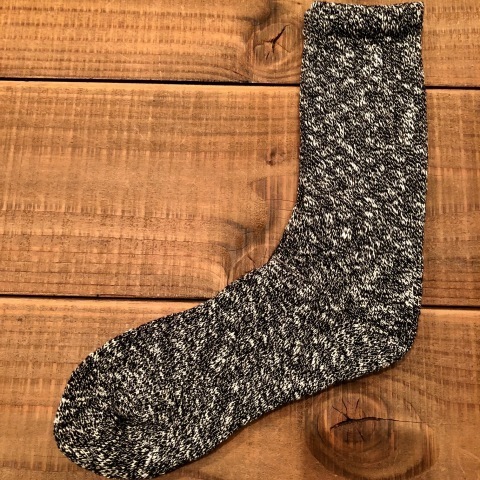 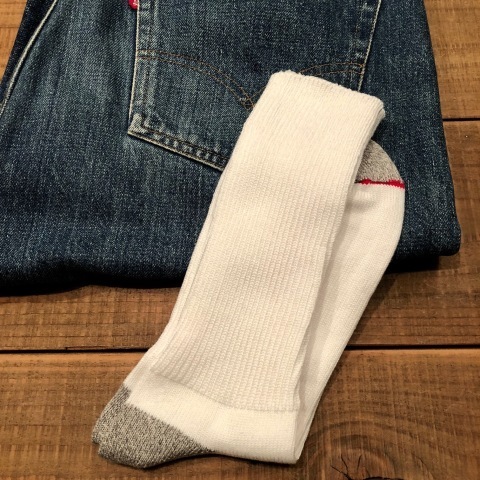 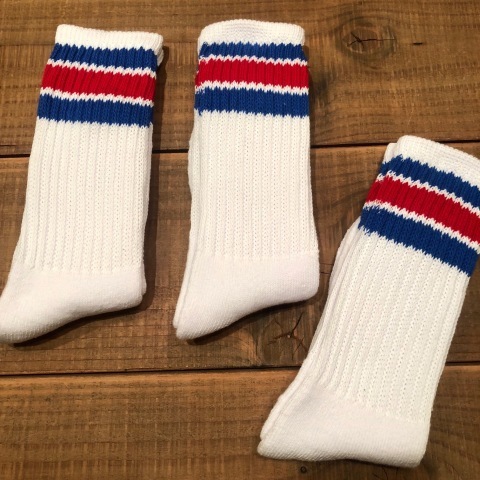 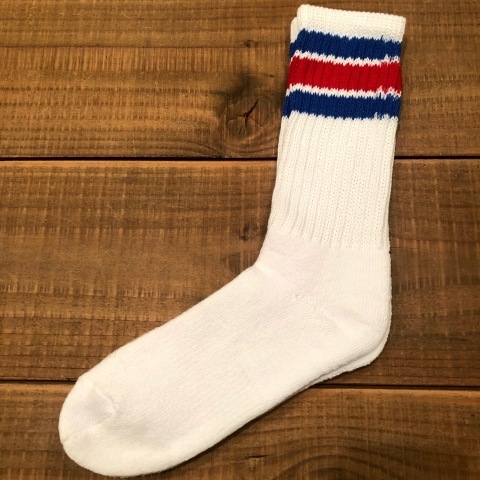 GRAIN pattern COTTON SOX .
" 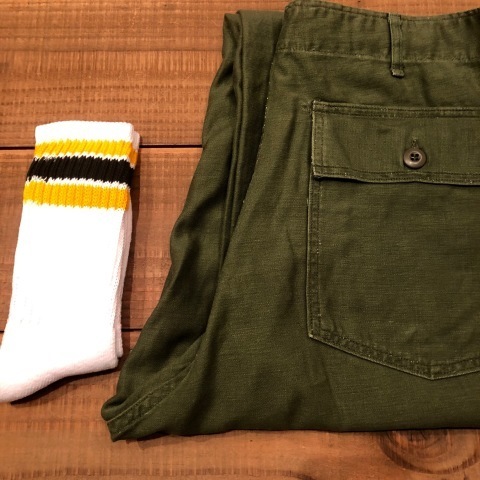 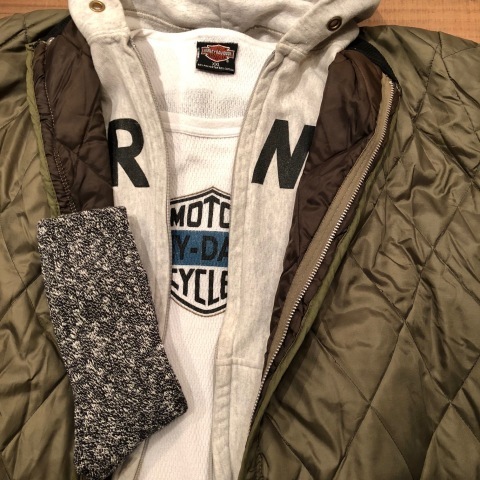 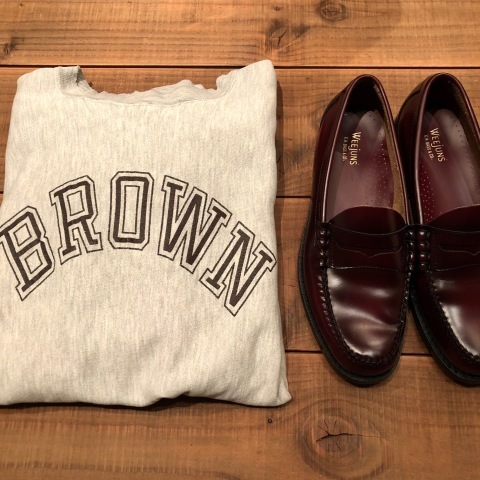 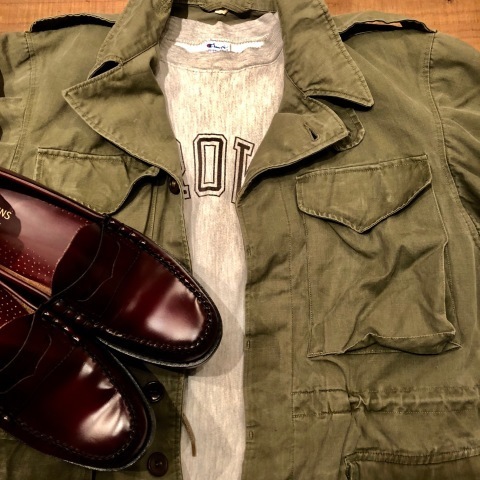 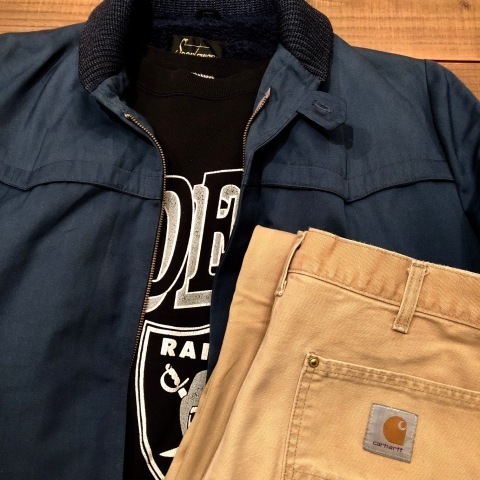 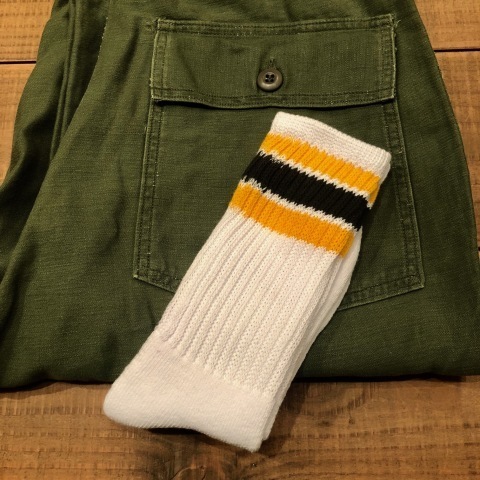 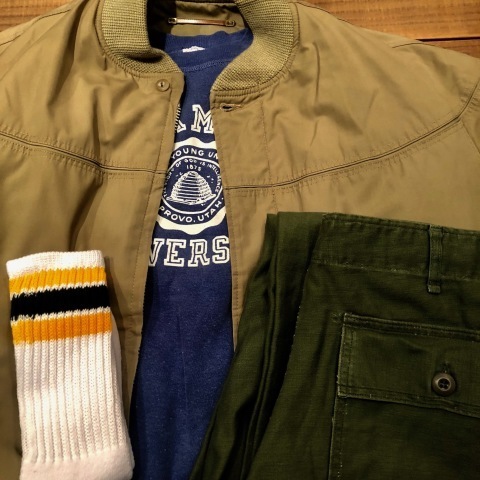 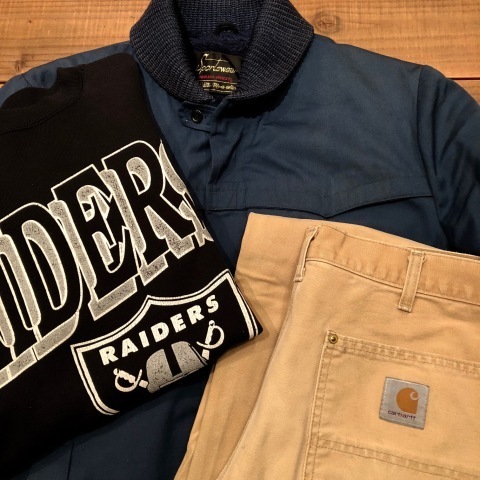 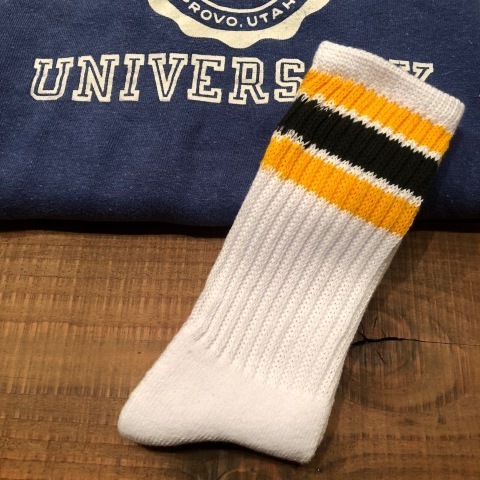 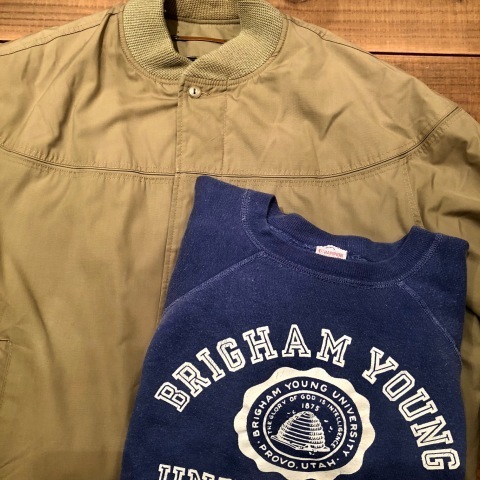 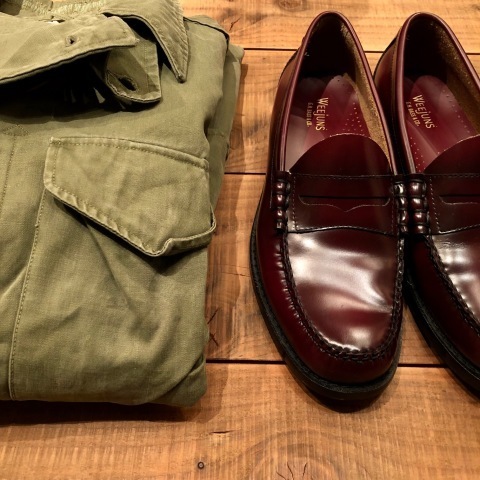 AUTUMN ＆ WINTER シーズン "
" コーデュロイ × ボア "
1970s " Derby of SANFRANCISCO "
BRAND : 1970s " Derby of SANFRANCISCO "
1960s " CHAMPION - Runners tag - "
BRAND : 1960s " CHAMPION - Runners tag - "
1973 " U.S ARMY "
BRAND : 1973 " U.S ARMY "
Vintage BAKER TROUSERS PT .